All the features, without all the mess. Ensure your Projects are streamlined and the steps to complete each task are precisely followed. 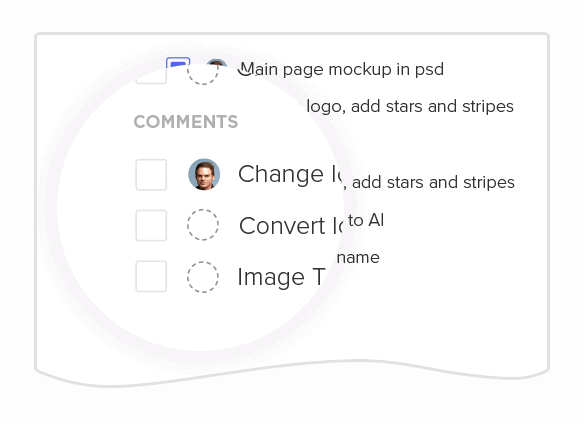 Manage your processes with templates. Quickly create and re-use checklists in ClickUp. 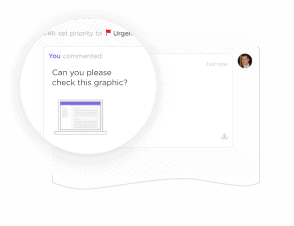 When a task needs more than one person, enable multiple assignees. 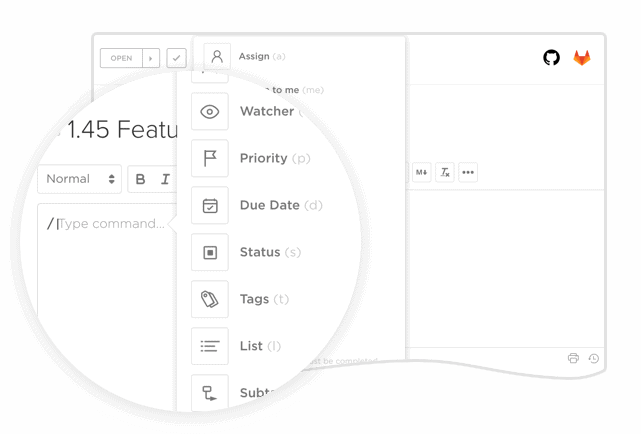 Add different types of dependencies for tasks waiting on or blocking others. 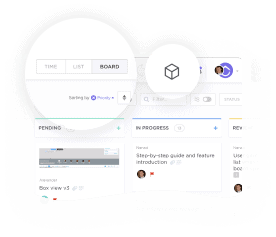 ClickUp’s acclaimed board view allows you to view every single task on your team in one board. 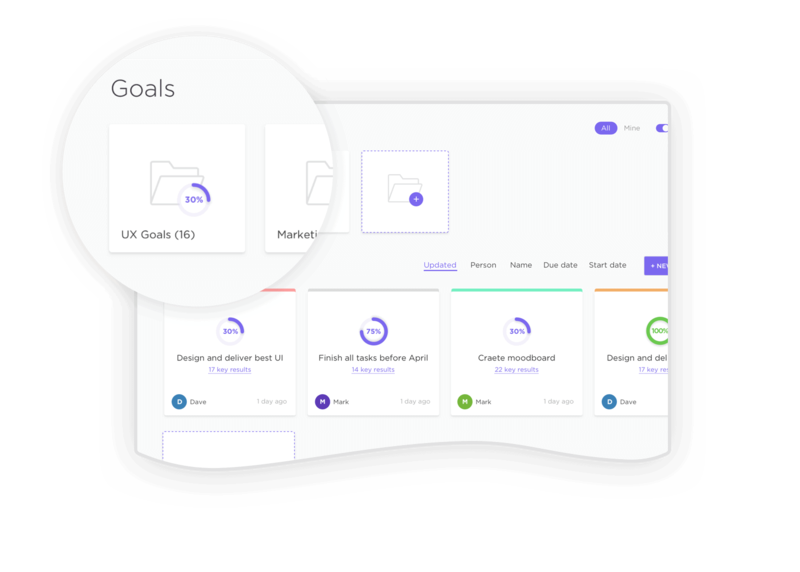 Goals work perfectly for managing sprints. 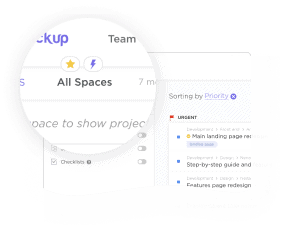 Simply keep a backlog List of tasks, then when you're ready, move them into a Goal. 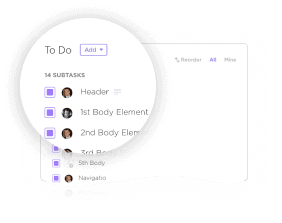 Use the Me dashboard to remove clutter and only show tasks that have items assigned to you. Goals are your mission control center. Monitor and manage your strategy through to execution. 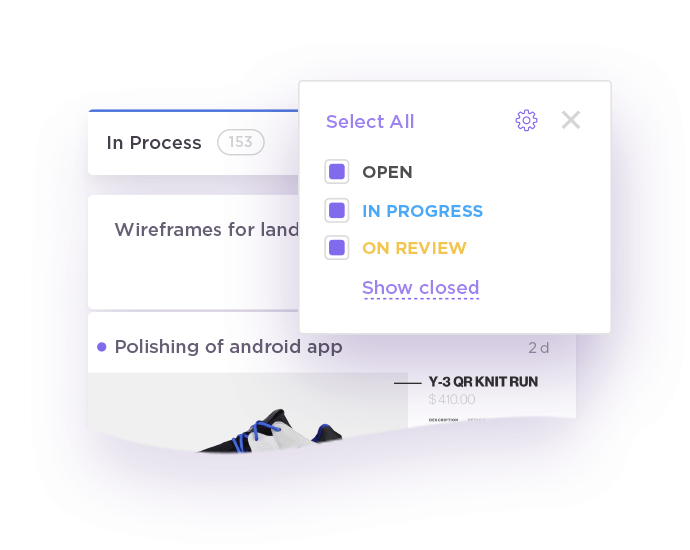 The dropdown custom field let's you set a unique point value to each task. The perfect way to measure points in each sprint. 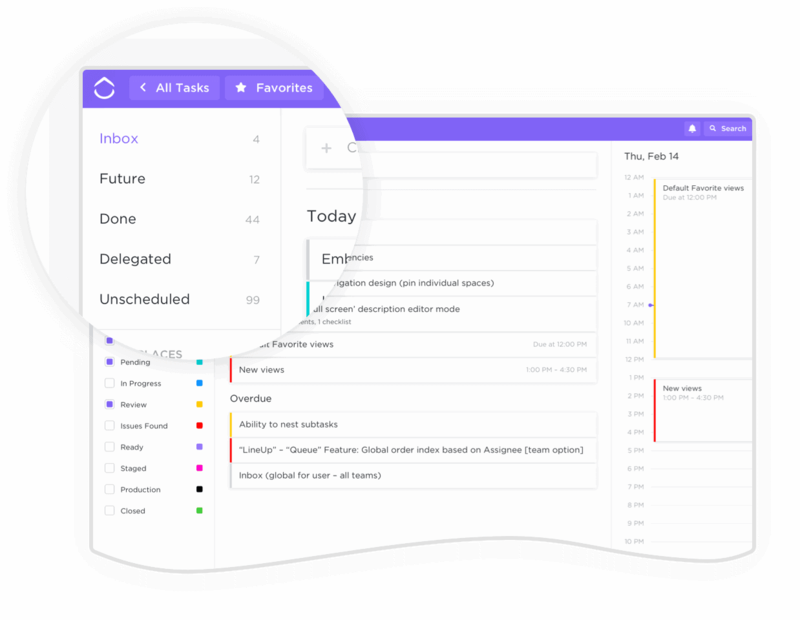 Organize tasks and make quick changes. Shuffle tasks as the team adjusts to new requirements. 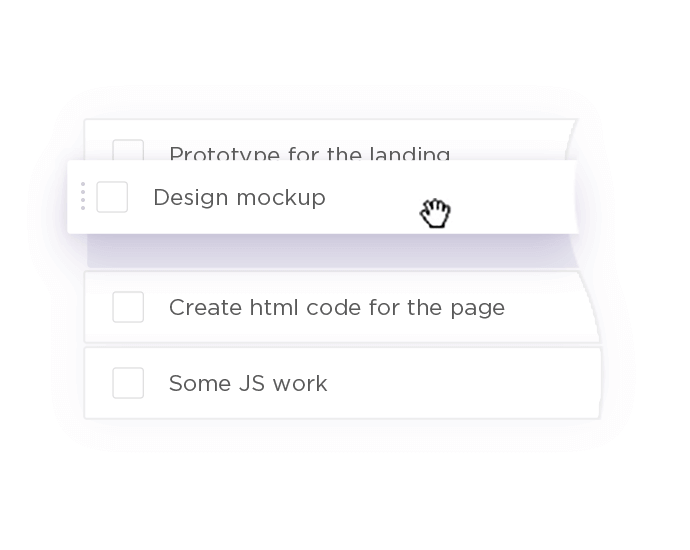 Finding your tasks has never been easier. Save simple or advanced filters to reuse. 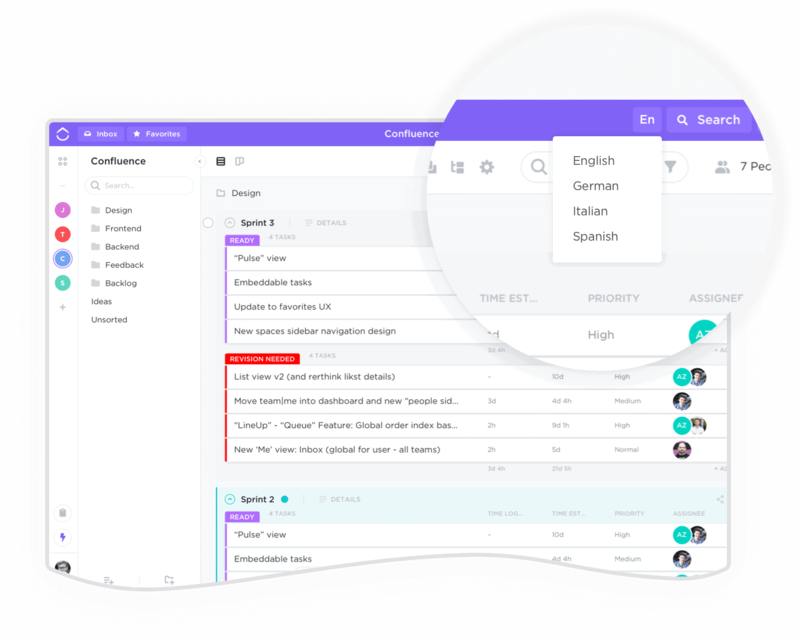 Sort by anything - plus, sort all of your tasks globally, not just by project. 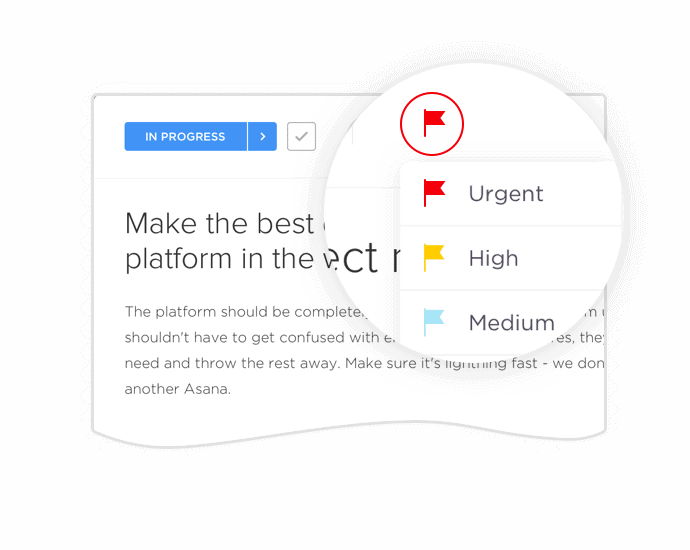 “The world’s most robust recurring tasks” - ClickUp covers literally every imaginable case. Create your own Sidebar - customized with sorting, filtering, and default views. 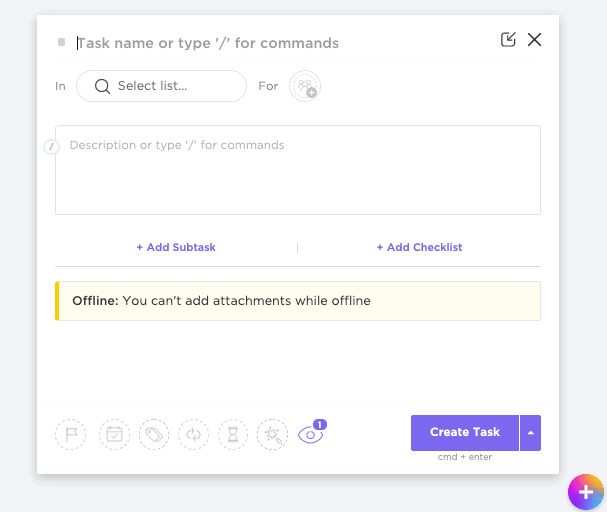 With one click, select tons of tasks and perform any action on them (even works for subtasks). 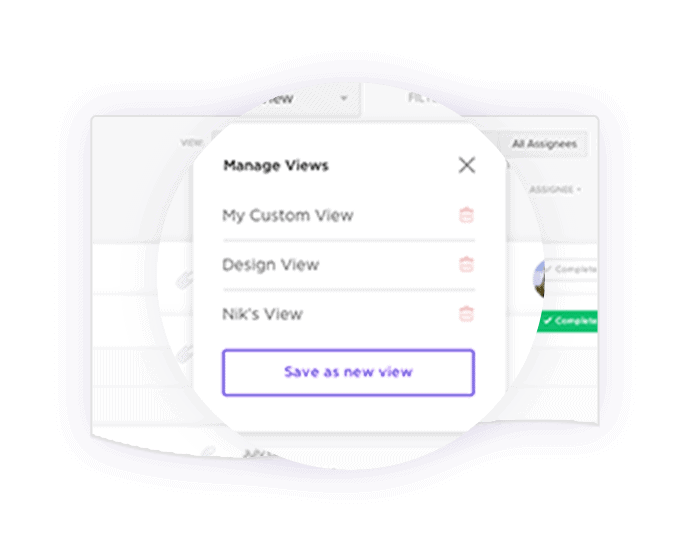 ClickUp has the perfect view for assignees, managers, and everything in between. 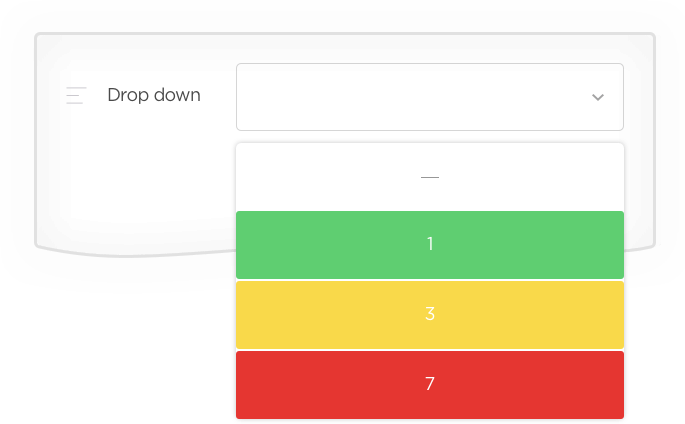 ClickUp’s hierarchy scales from personal users all the way up to enterprises - all customizable. You’ll never open a new tab again. Minimize tasks to your tray to keep your browser clean. Provides an all-encompassing view of team activity - past, present, and future. 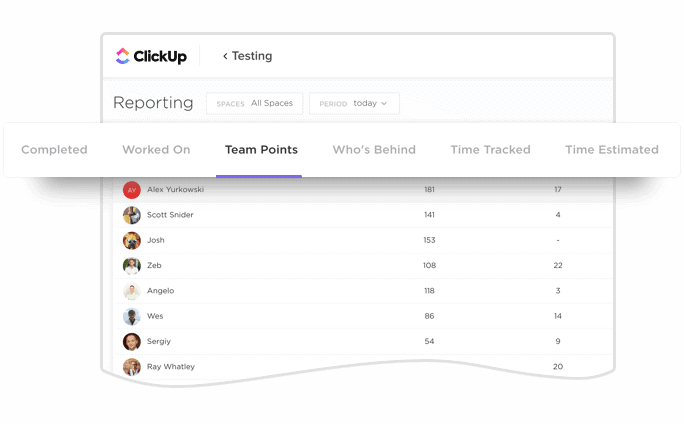 Literally everything in ClickUp is drag and drop - so fun and so fast. 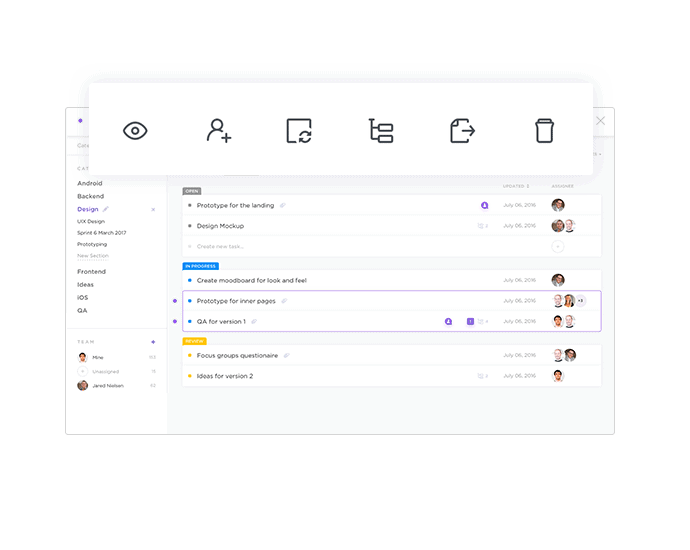 Everything is templatable - Spaces, Projects, Lists, tasks, and more. Customize what to reuse. 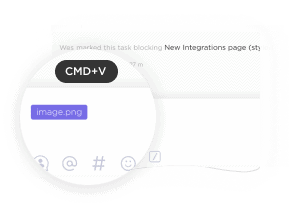 Automatically associate tasks when you paste a URL or type ## to manually link a task. 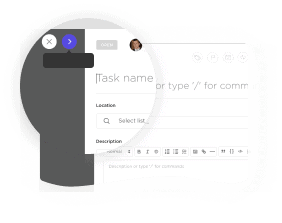 Right-click on anything to save time and perform actions without opening a task. 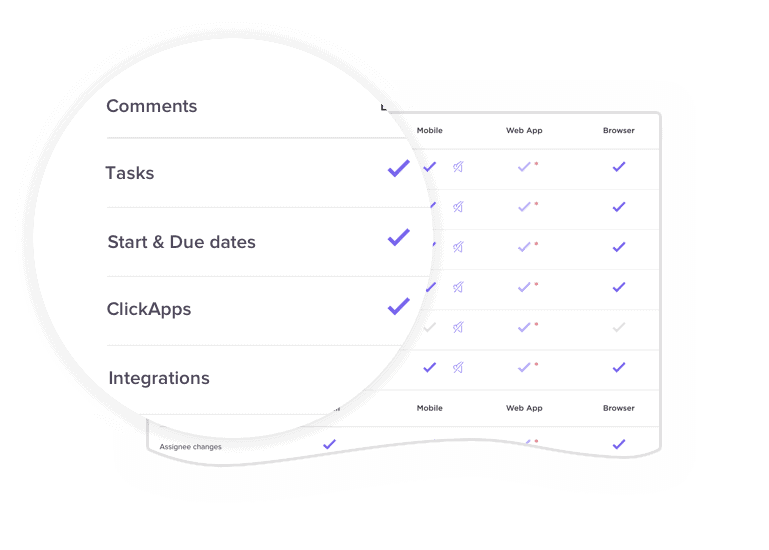 Organize tasks into actionable items with subtasks, checklists, and assigned comments. Have a thought that’s not finished? Save drafts to come back and finish later. Process check please? Simple to-do lists that structure what’s needed for each task. 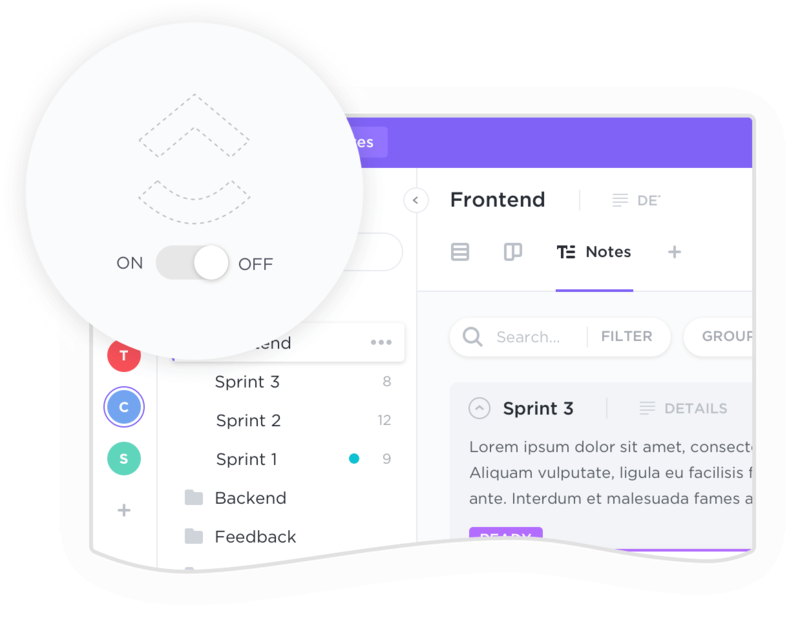 Quickly copy entire Spaces, Projects, or Lists to re-use everything you’ve already built. Unprecedented. 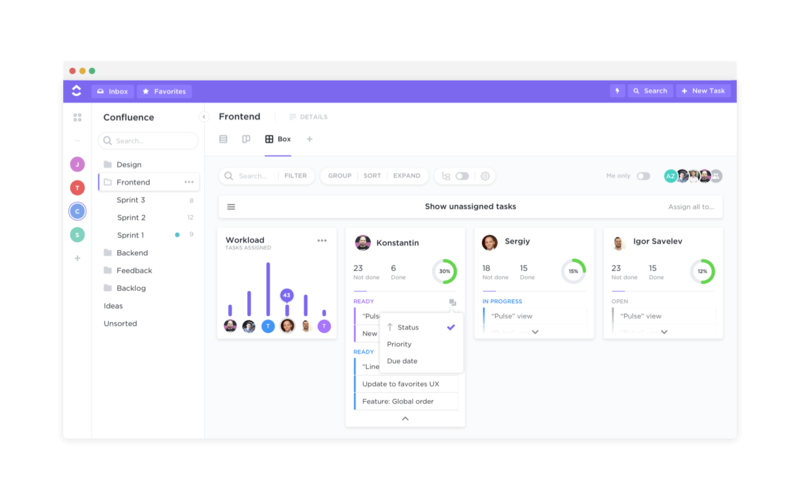 Now, you can view every single task in one place. Add sorting and filtering for more power. Deciding what to do next? 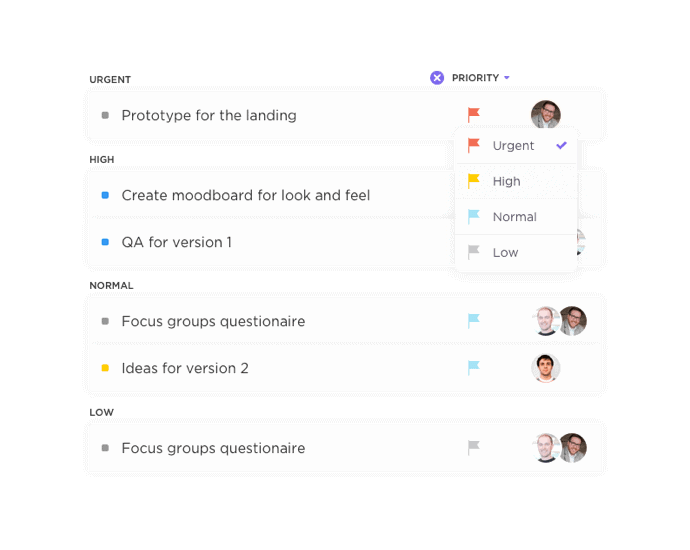 Categorize tasks based on their importance to a project. 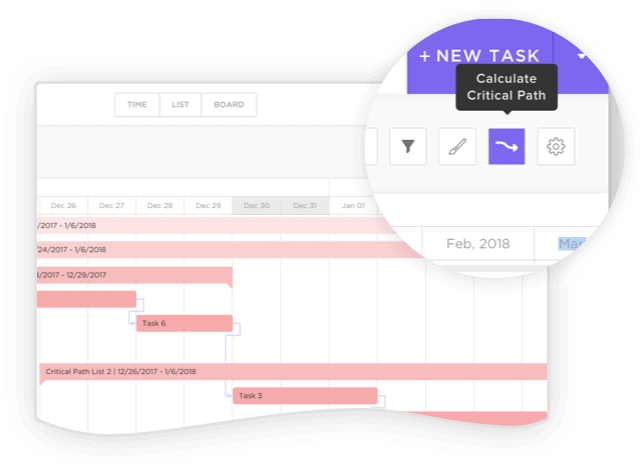 Move entire Spaces, Projects, Lists, and dependency chains on the Gantt chart to remap start and due dates automatically! 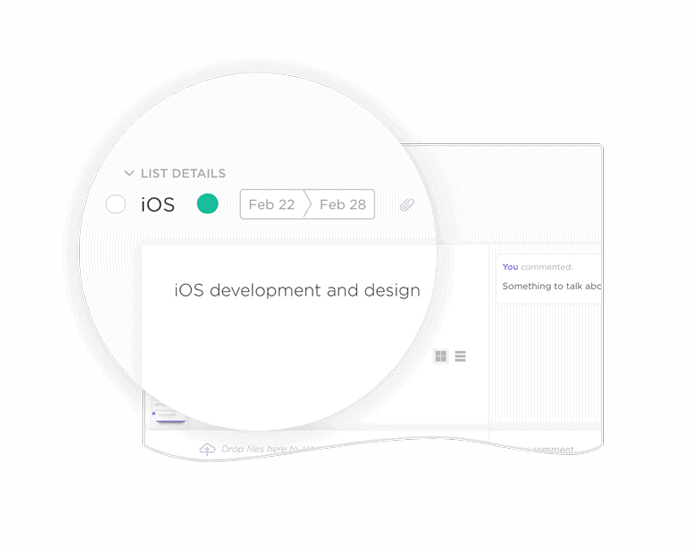 Organize Lists into your own custom Dashboards to track and update progress in real-time. 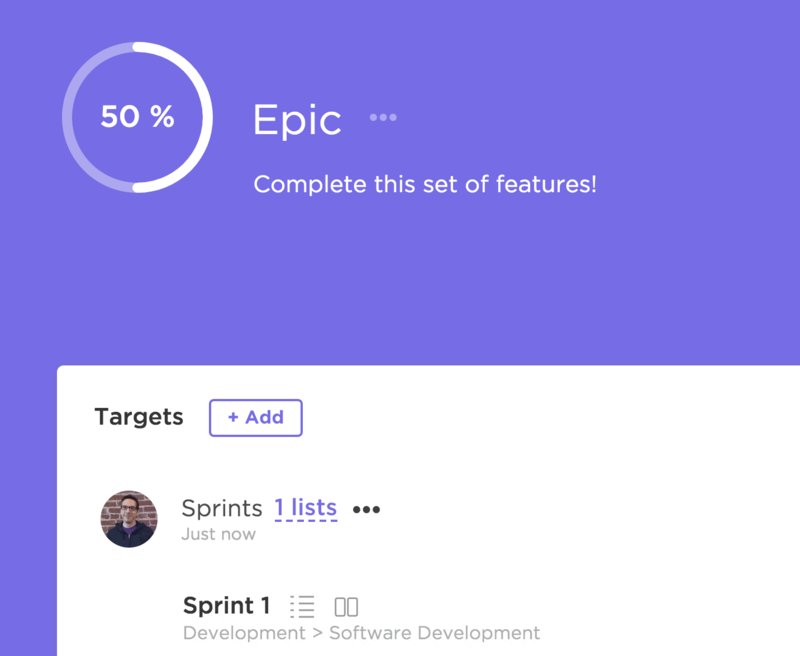 Epics - Goals are the perfect option for setting up Epics and managing your backlog and "user stories". 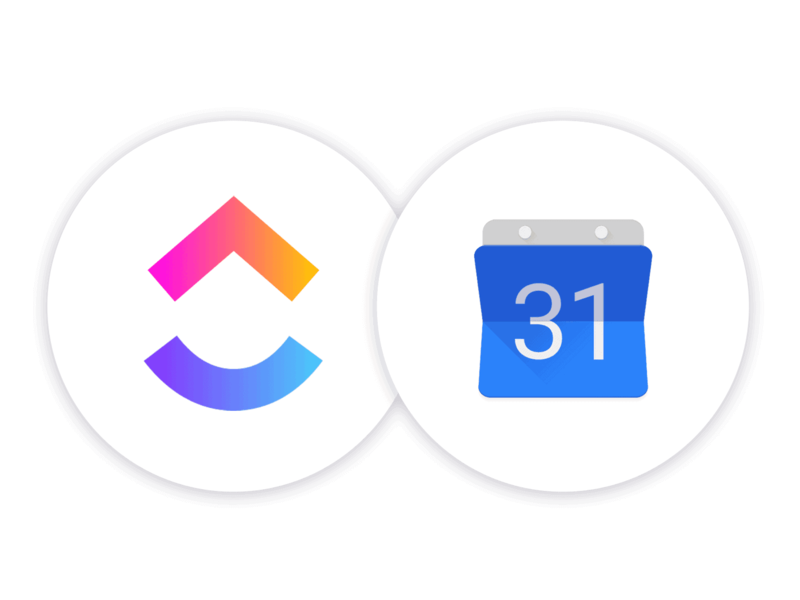 Sync ClickUp tasks with Google Calendar in a two-way and real-time sync. 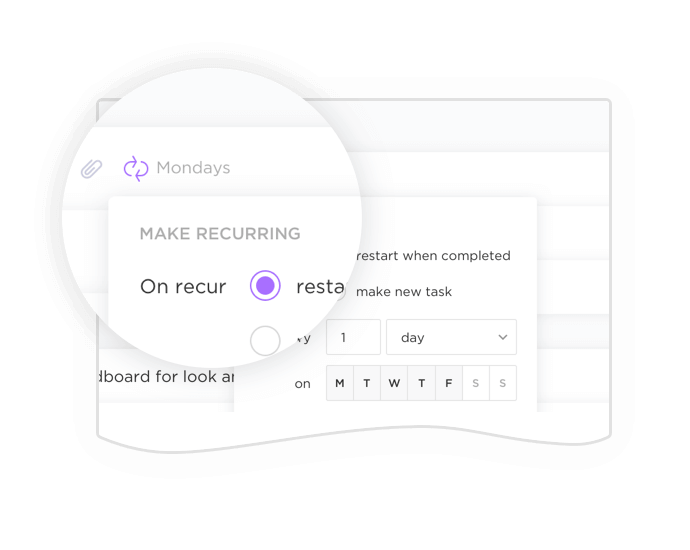 Use the native calendar to view tasks by time: week, 4-day, day, month, and even a timeline. 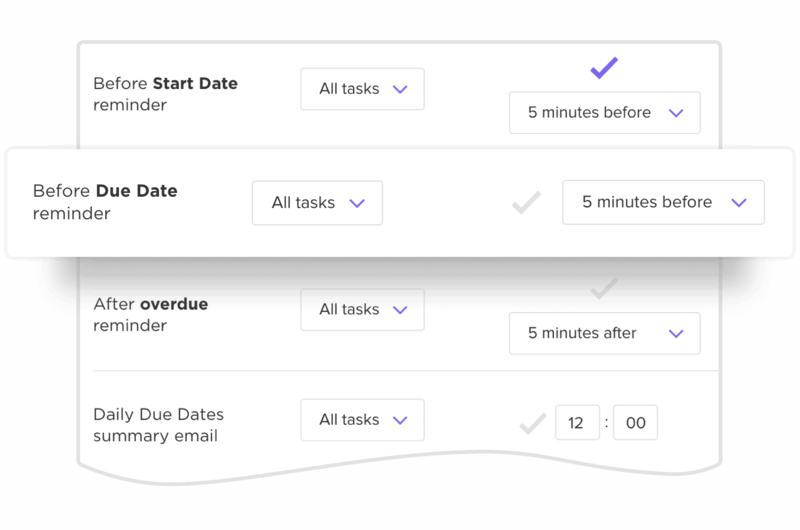 Automatically track time in ClickUp, or use one of our integrations. 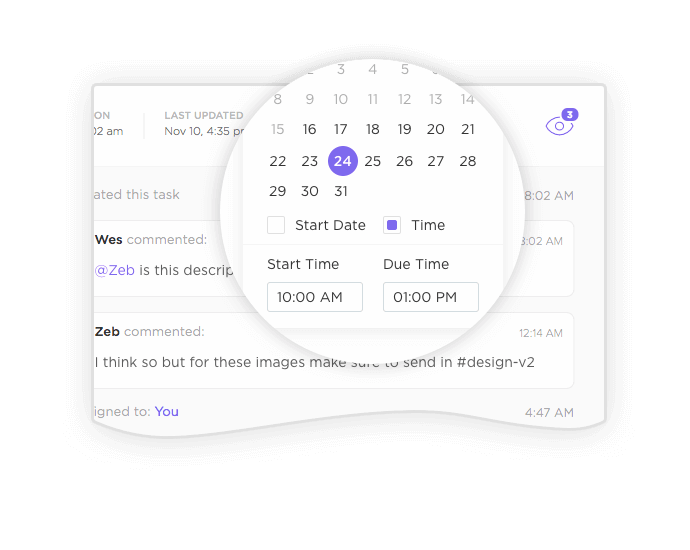 Drag and drop unscheduled tasks into Time view to automatically schedule tasks. Add start dates to indicate when tasks start - you can use this with due dates and times. 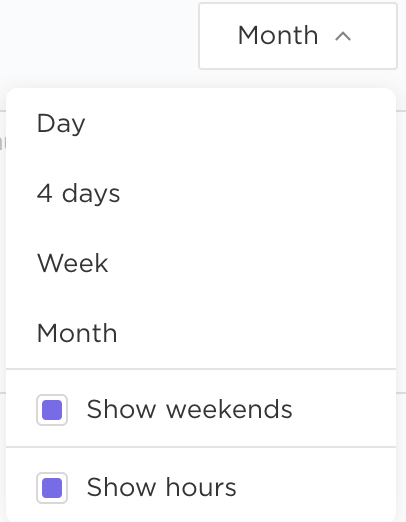 ClickUp not only allows dates, but also times, so you can truly do whatever you want with time. 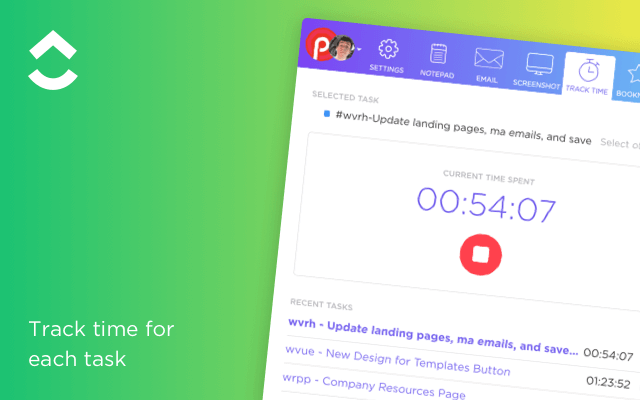 Track time without leaving ClickUp and use reporting to see timesheets. 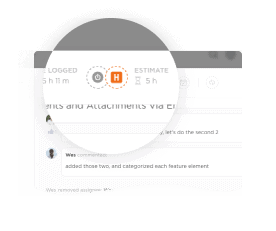 Add Time Estimates using natural language and use reporting to gain insights. 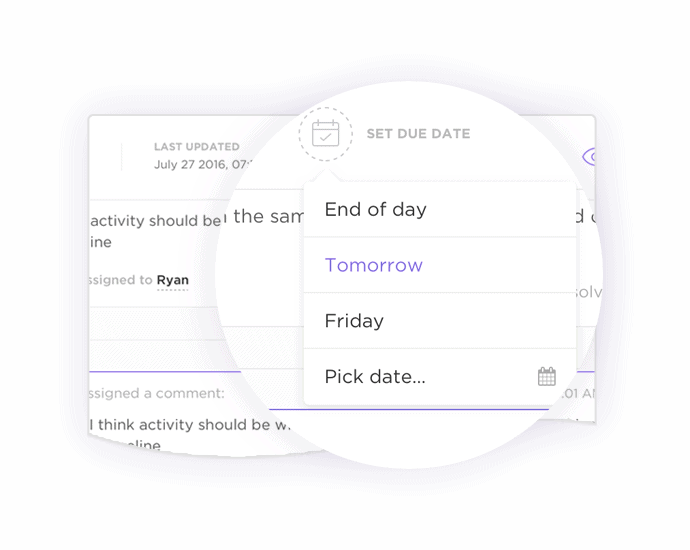 Automatically preserve the relative position of due dates on your tasks. 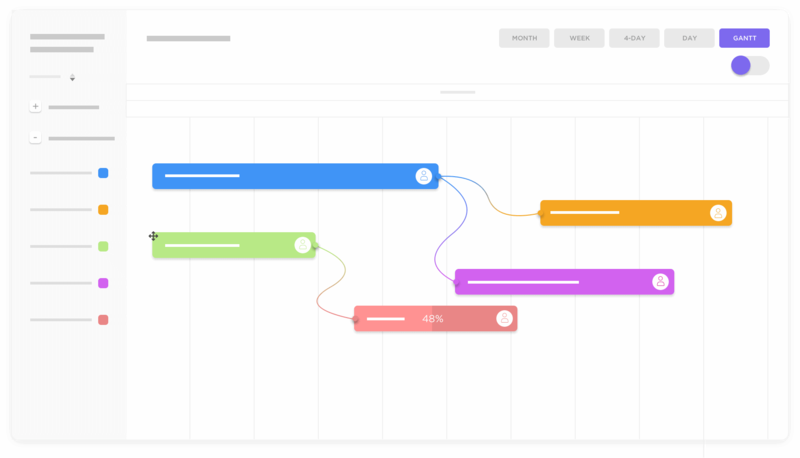 Plan projects, manage resources, track progress percentage, and visualize dependencies with the Gantt chart! 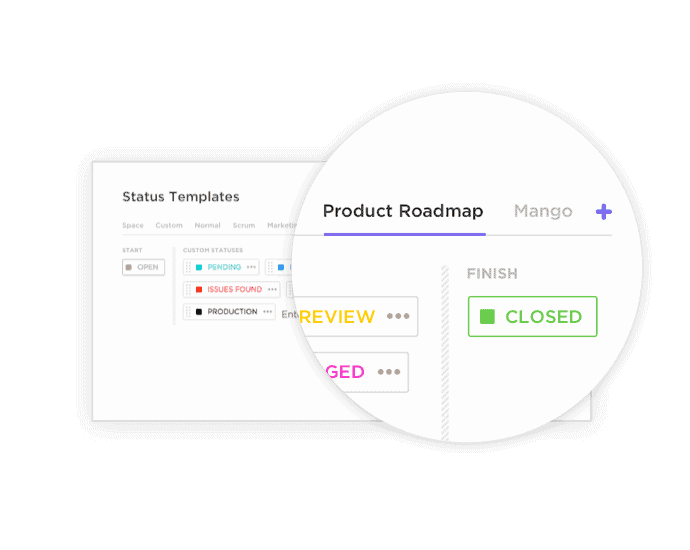 Instantly determine the critical steps your project will take to complete. 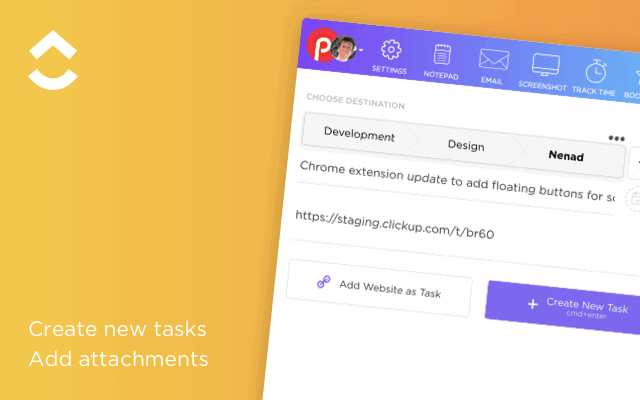 Track time you spend on ClickUp tasks through the PomoDone App and Chrome Extension and maintain your Pomodoro schedule. 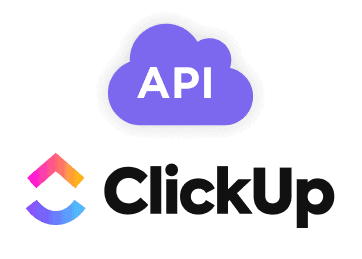 Build custom integrations and ClickUp apps with our public API. 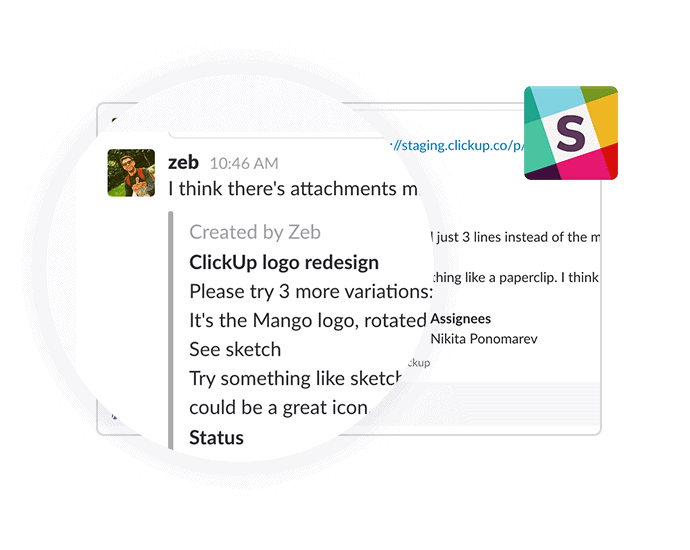 Create tasks, attach comments, unfurl tasks, and manage ClickUp - without leaving Slack. 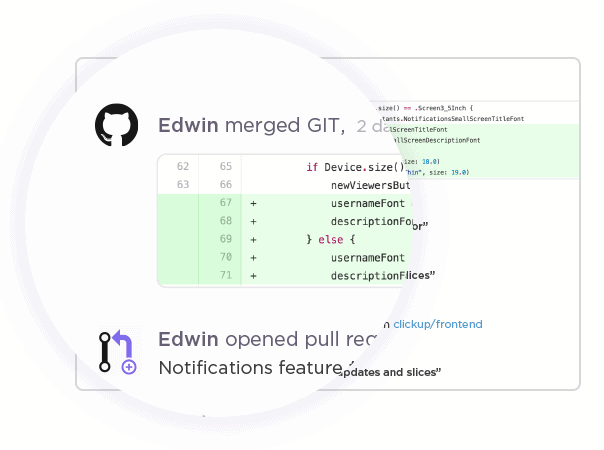 Automatically attach commits, pushes, and merge requests - even change task statuses. Automatically link GitLab commits, branches, pull requests, and issues - even change statuses. 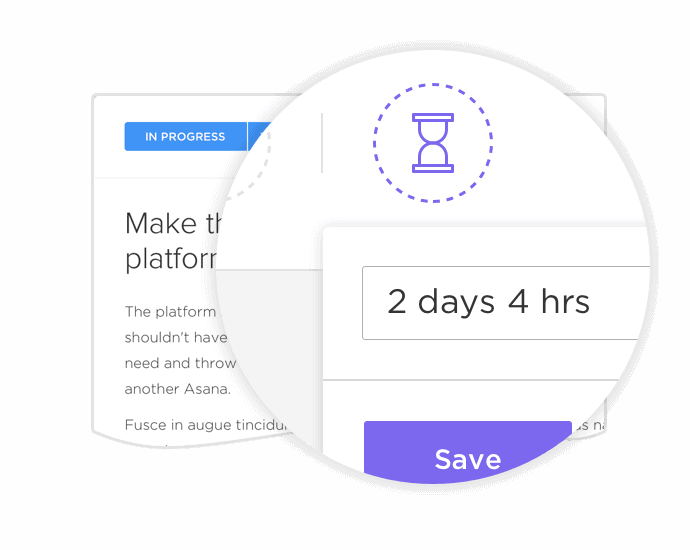 Integrate Everhour to track time, edit estimates, and manage budgets all within. 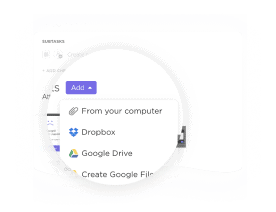 Integrate Google Drive to attach or create Drive files in ClickUp tasks - and automatically unfurl links. 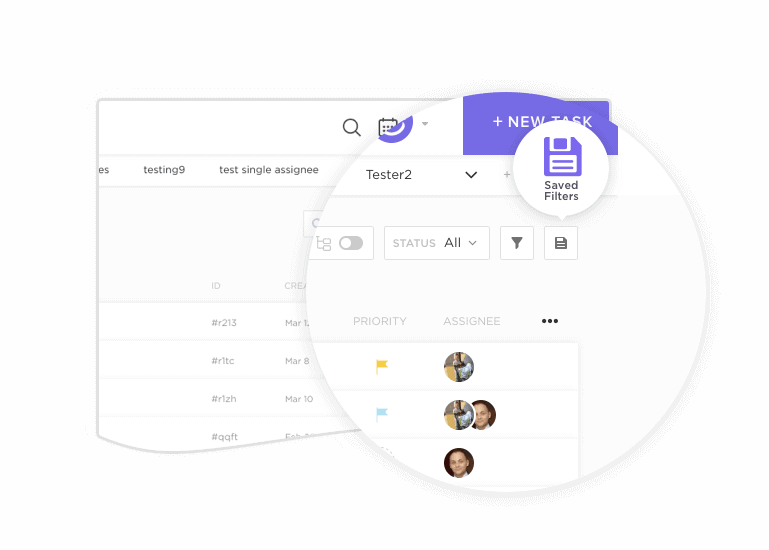 Embed a prototype with the ability to view and manage without leaving ClickUp. 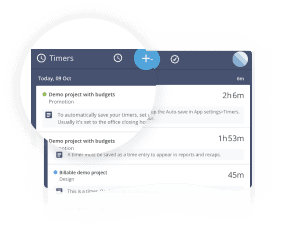 Use Timeneye to track time and import or link projects without leaving ClickUp. 5 apps in 1! 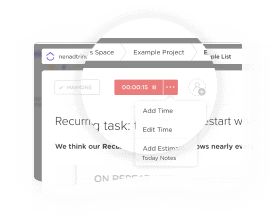 Create tasks, take & mark up screenshots, save websites, and much more. 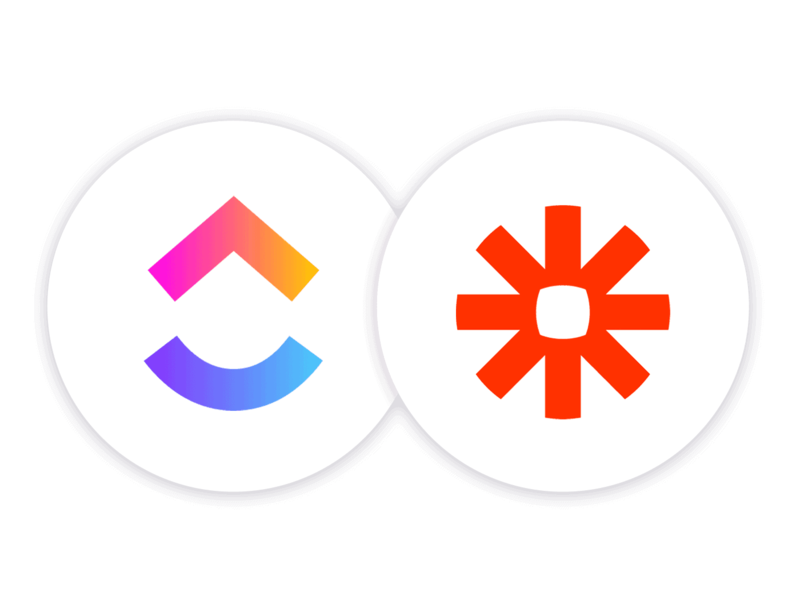 Zapier gives you access to 1,000+ apps with pre-existing and customizable integrations. 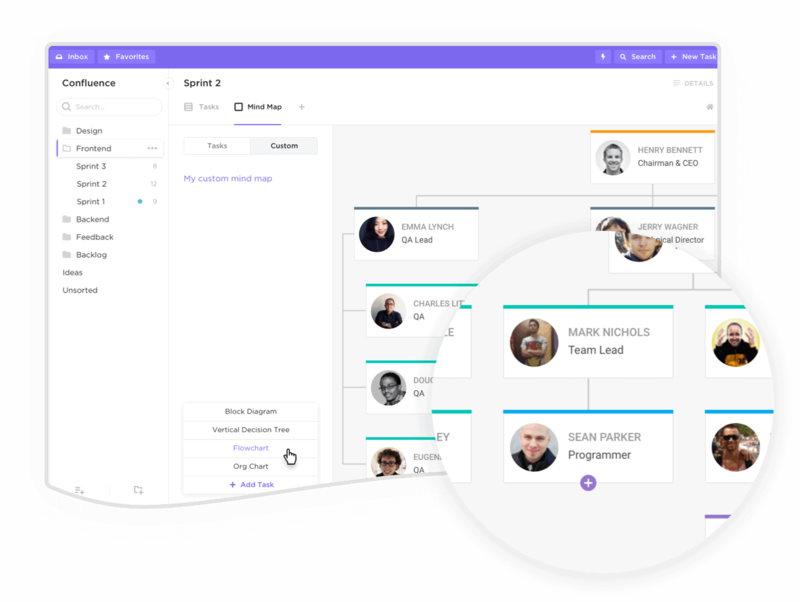 Automate actions between apps by creating multi-level processes with Integromat. 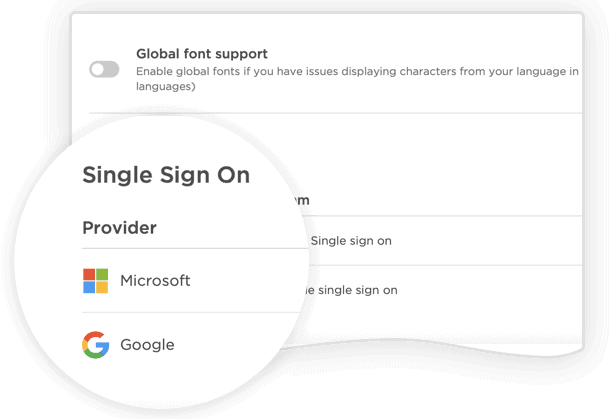 SSO lets you sign up and/or log in with your Google or Microsoft account to save you time and provide peace of mind. 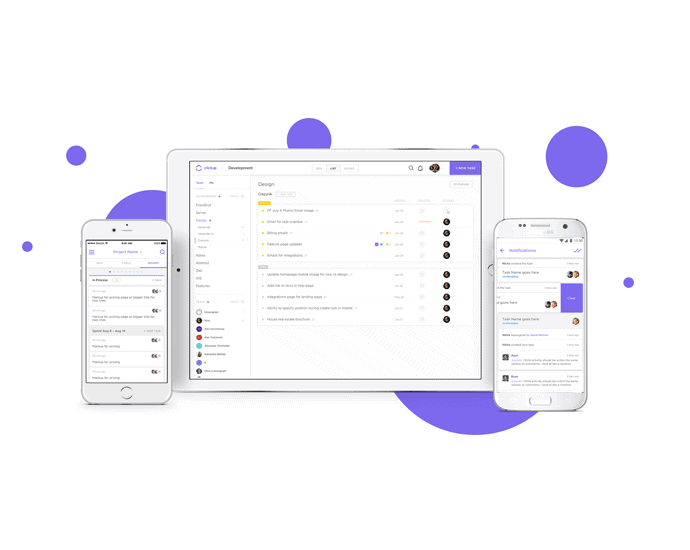 Bring everything from your previous project management app into ClickUp with just a few clicks! 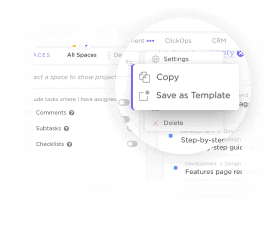 Create, preview, and sync your project notes with ClickUp tasks. 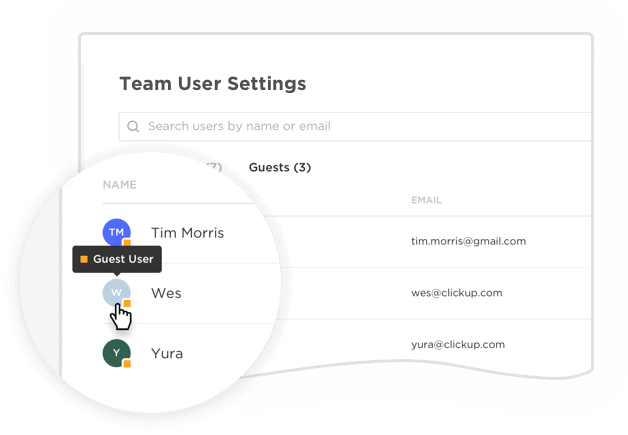 Keep your team on the same page with a direction connection to ClickUp within Slite. 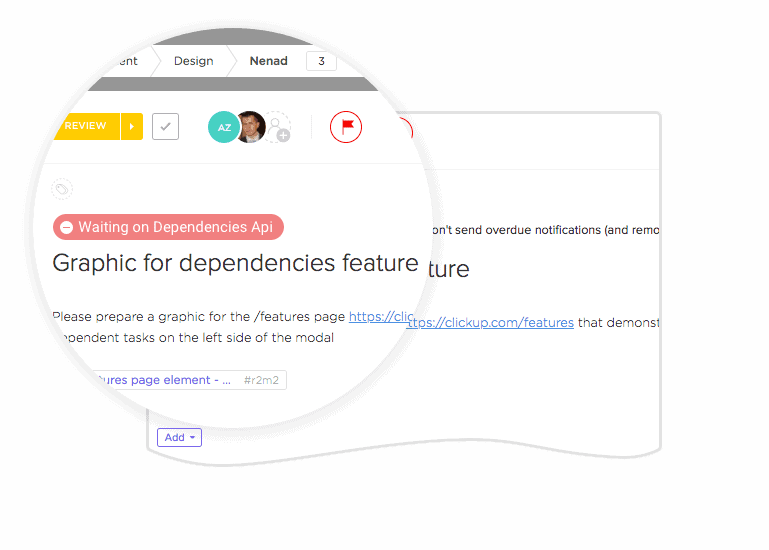 Link your commits, pull requests, and branches to ClickUp tasks instantly and automatically. Tailor your spaces with privacy, features, custom workflows, tags, and more! This is project management your way. Use ClickUp for anything. 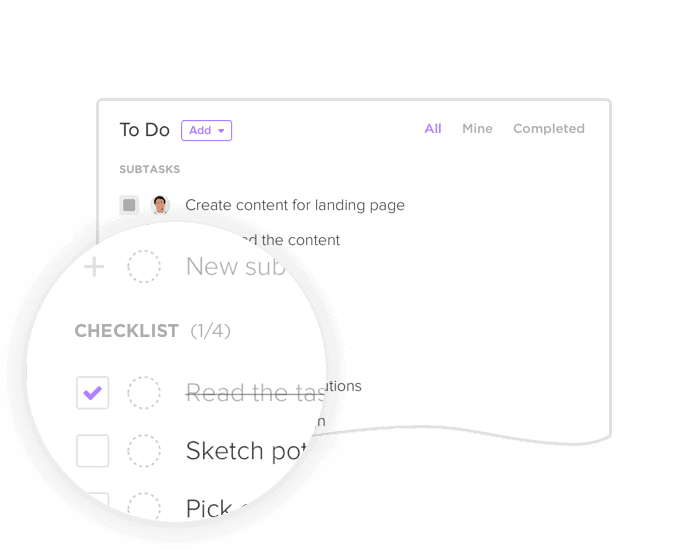 Add numbers, dropdowns, budgets - literally add anything to your tasks. 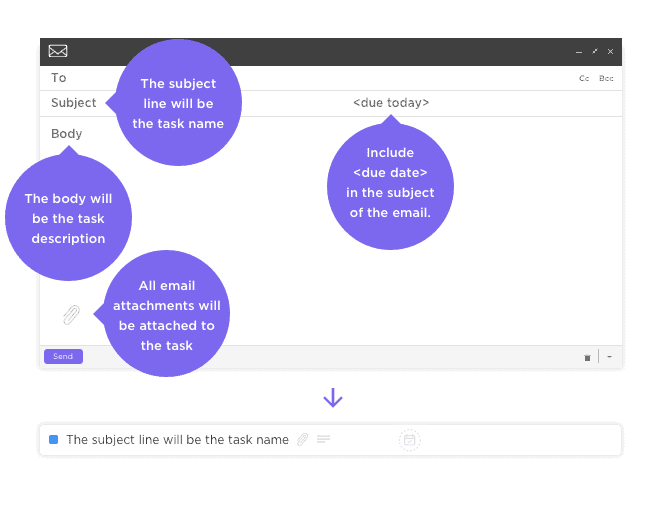 Choose whether you want one assignee or multiple - for each Space in ClickUp. 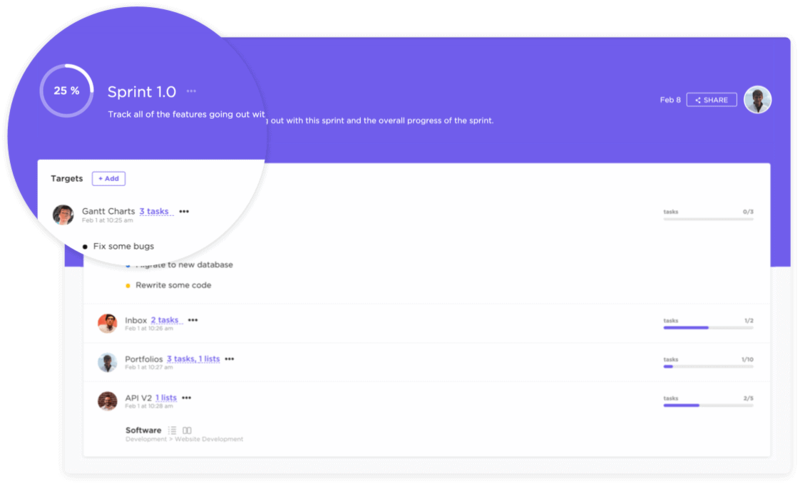 With beautiful rich formatting, you can use ClickUp for docs and even use markdown. Tasks are either done or not done - as simple as a to-do list. 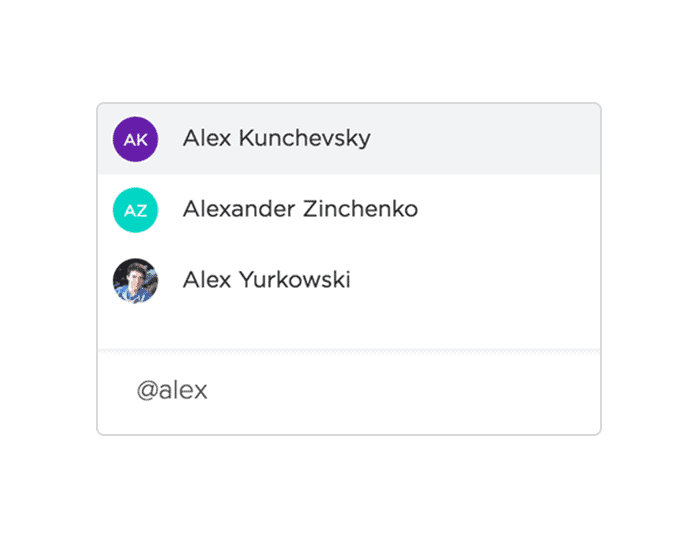 Customize what you receive, when you receive, and where you receive notifications. Save filters you use frequently. You can even choose to save for yourself or your entire team. 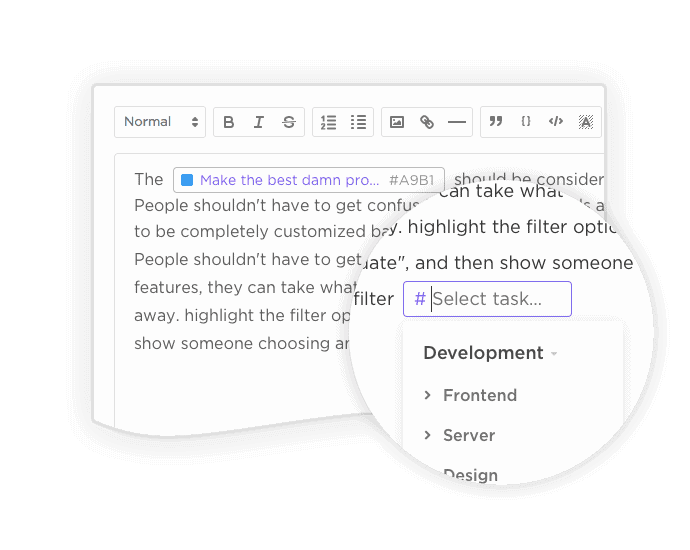 Add tags to your tasks to organize your workflow in ways only you can imagine. “Dark mode changed my life”. If you work at night, you’ll freaking love dark mode. 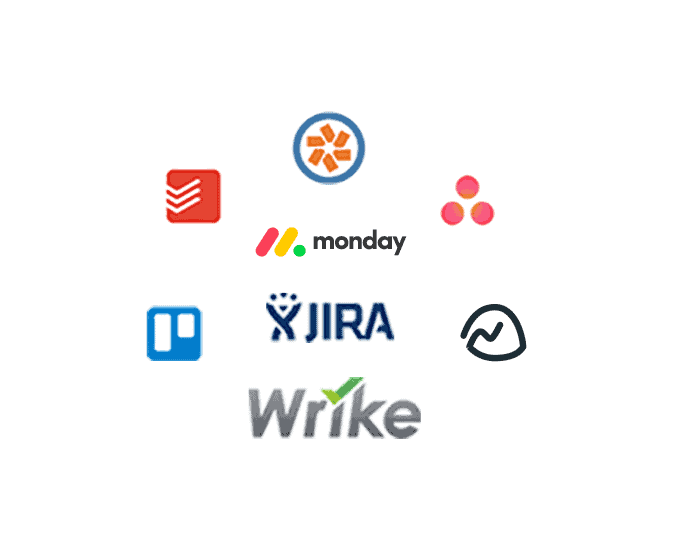 Stay productive with the most cohesive tools to improve your team collaboration. 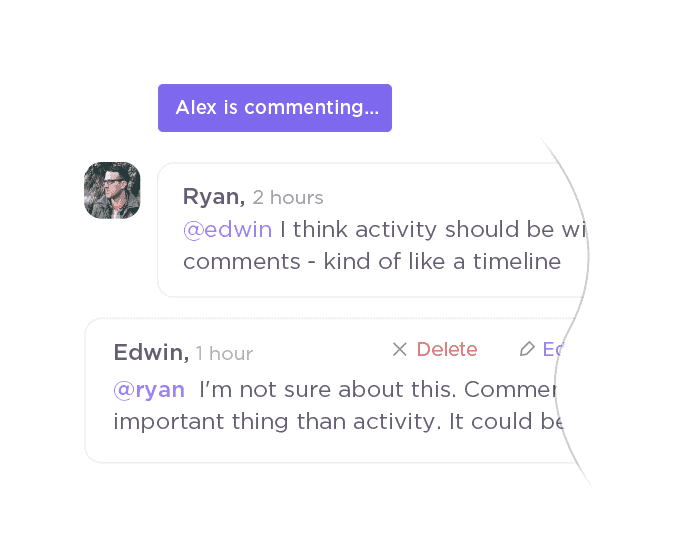 Stay on the same page (literally) - see in real-time when others view, comment, or edit. 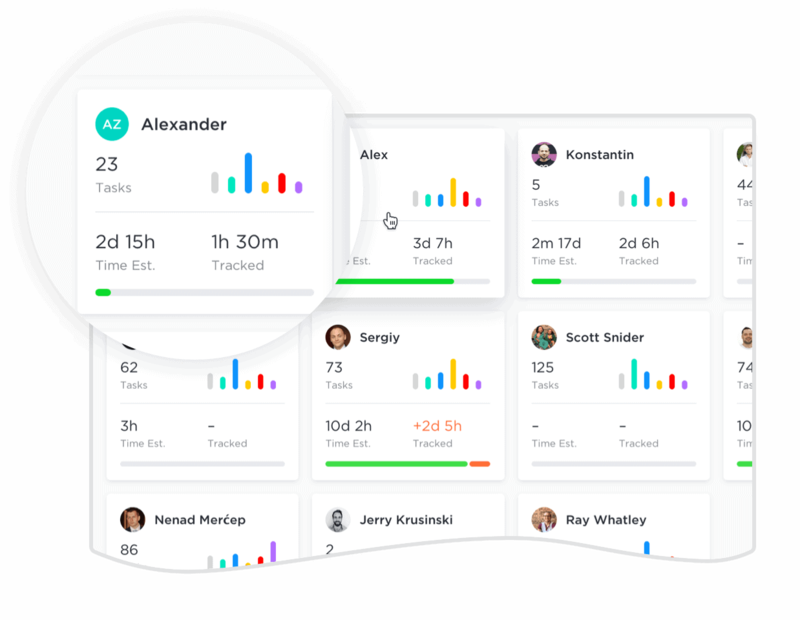 Use six incredible reports to see what your team is doing and what you’re behind on. 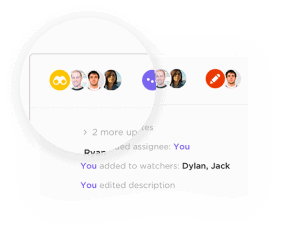 See when other users are editing to collaborate and avoid collisions - just like Google docs. 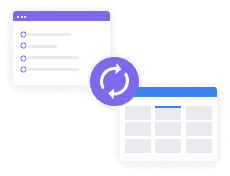 Every single change in ClickUp is automatically and instantly reflected on every device. 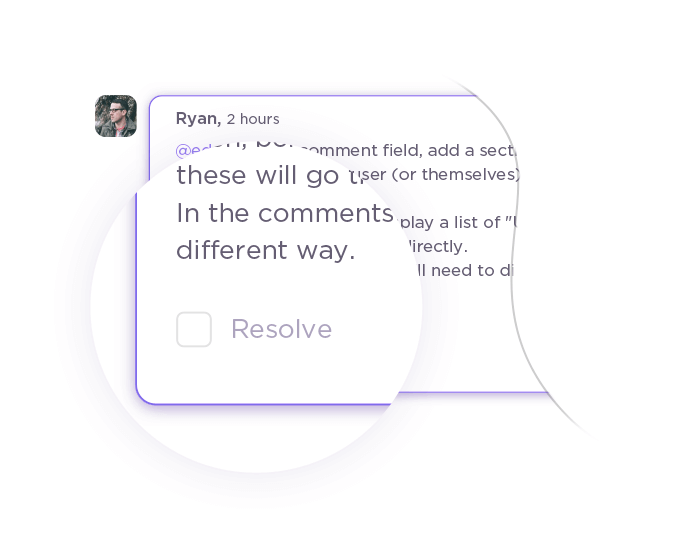 Say goodbye to deleting comments and adding corrections. 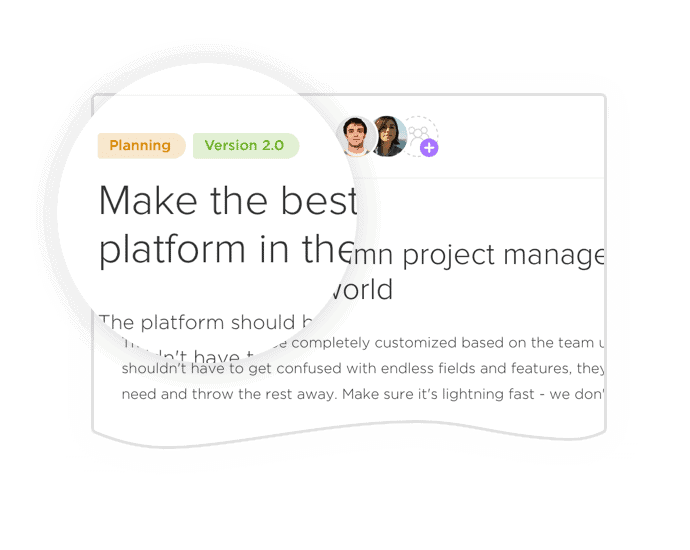 Mention users, tasks, and projects to notify the right people. 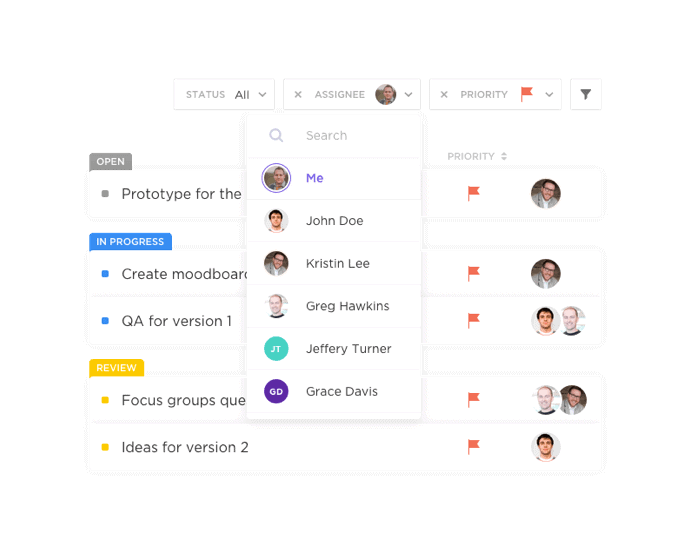 A proprietary, high-level overview of tasks grouped by person - see what everyone’s working on. 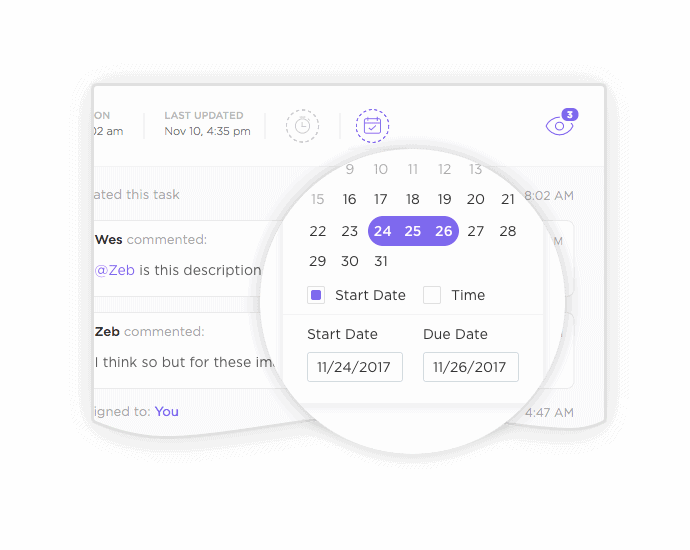 Add start dates, due dates, notes, attachments, colors, and even conversations to task lists. Take screenshots with the Chrome Extension and mark it up by drawing or commenting. You’ll never lose a comment again. If a comment requires action, assign it. Add personality to your creations! 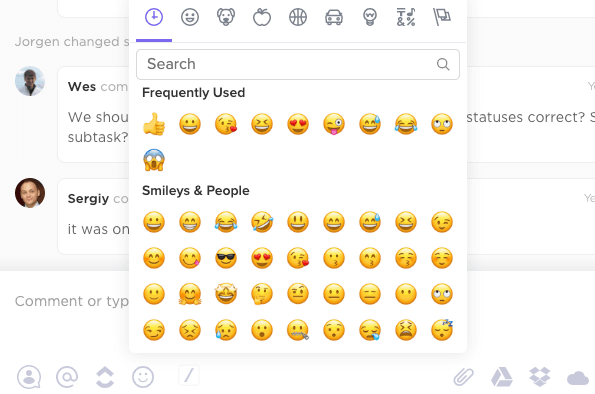 Use emojis and create custom emojis to make it fun. 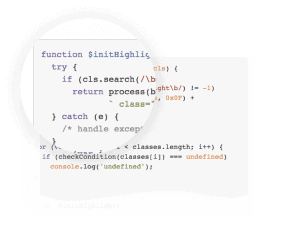 ClickUp automatically recognizes what language you’re using when typing or pasting code. Automatically unfurl links from popular platforms like YouTube, Figma, Loom, and many more. 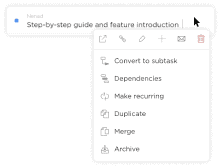 Use markdown to quickly create and format notes and tasks without using your mouse. Paste images anywhere in ClickUp including comments (works with ALL browsers). 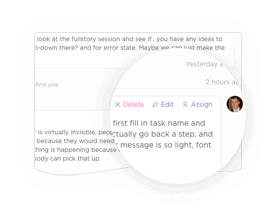 Add quotes to comments and task descriptions to format text in a uniquely visual way. Guests are people that you don’t want having full access to ClickUp. 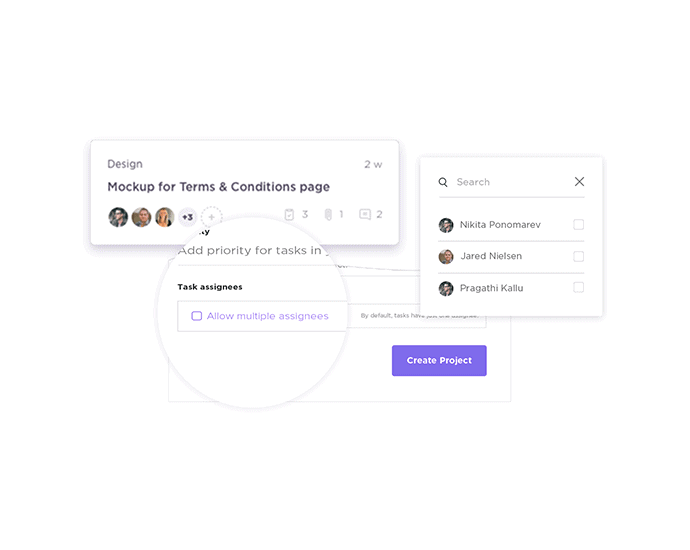 You can give Guests access to Projects, Lists, and Tasks in a limited way. Do you have sensitive information that you want locked down? 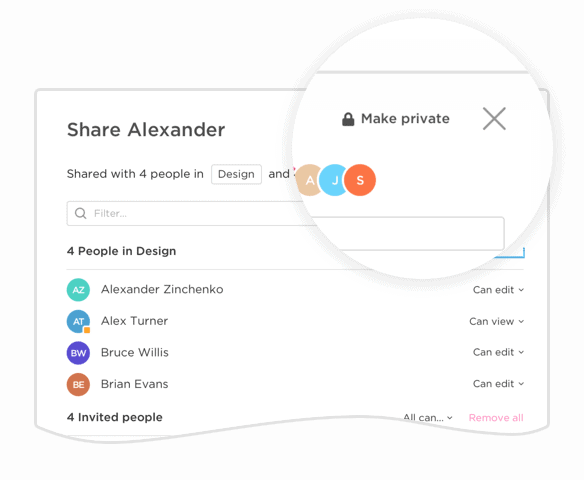 Permissions give you peace of mind when sharing. 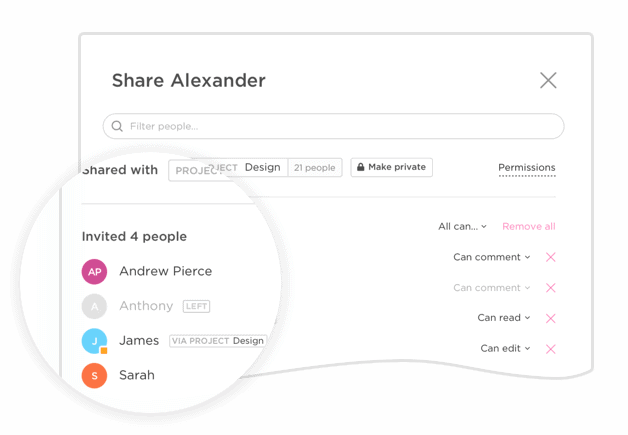 Let's put you in complete control of who sees what, what permissions they have, and who gets added to your team. 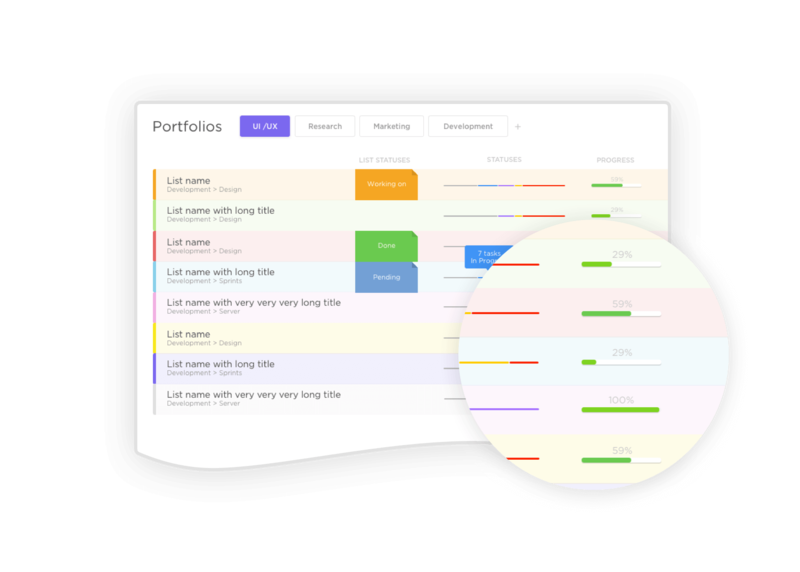 Quickly determine how much work remains in a Project or List. 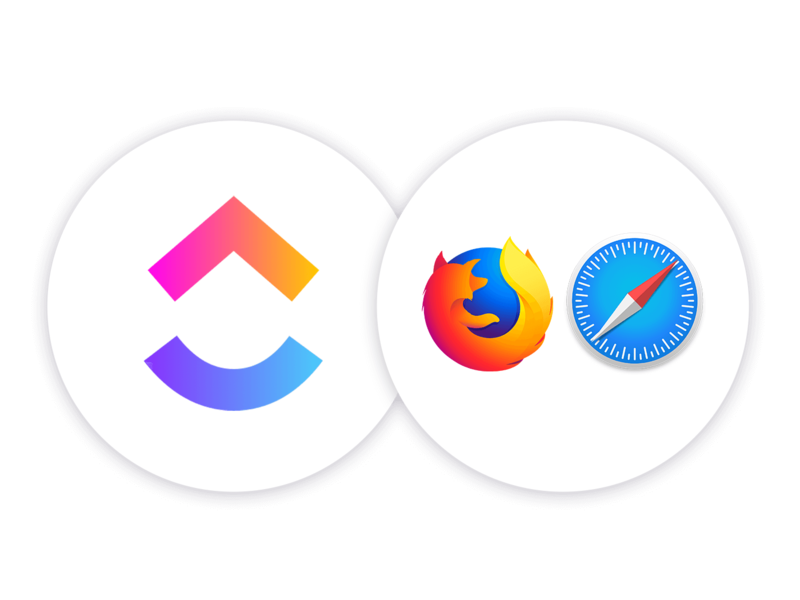 Work from your favorite browser - compatible with all modern browsers. Five-star rated apps on iOS, Android, and Amazon Fire devices. 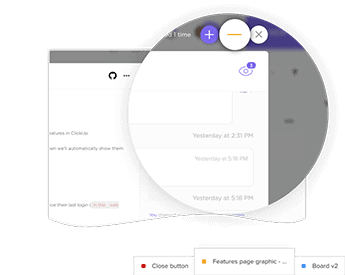 Launch ClickUp from Mac, Windows, or Linux. 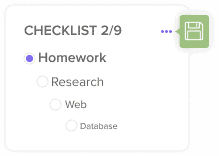 Create tasks, list tasks due today or tomorrow, and set default Lists by talking to Alexa. Creating tasks and listing your tasks due today is so much fun when you’re talking to Google. 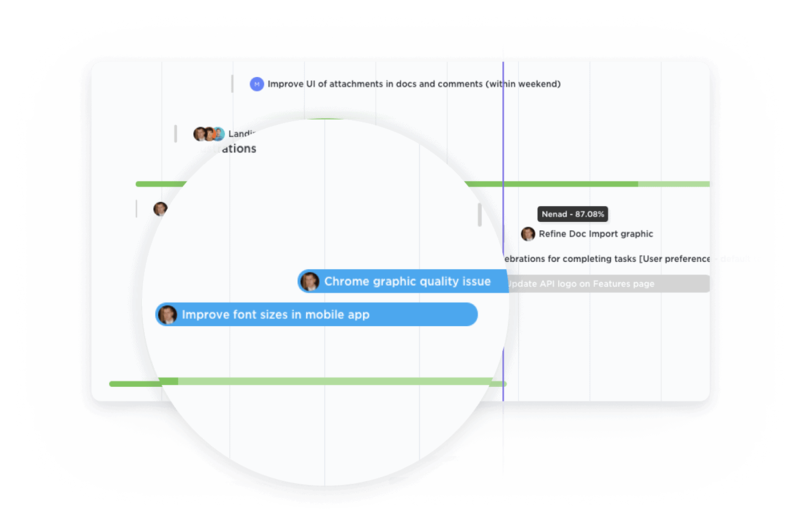 Comment, markup, and create tasks directly from images and screenshots with the ClickUp Chrome Extension. 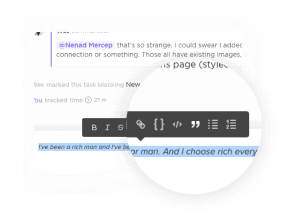 Unleash your inner creativity with rich formatting tools! 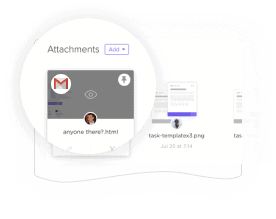 Create tasks from email and attach emails to your tasks - without leaving Gmail. Here you'll find the proprietary features cooked up by our creative team. These are the things we love building, so stay on the lookout for even more soon! Simple, revolutionary. 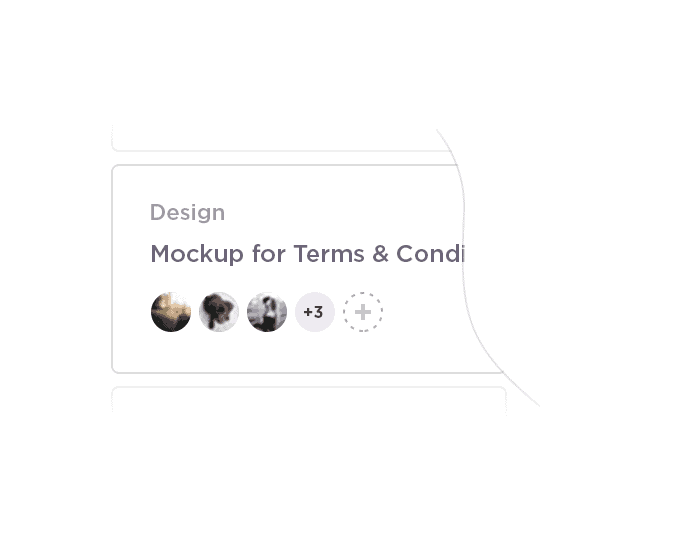 Type / anywhere in ClickUp - you’ll never use your mouse again. 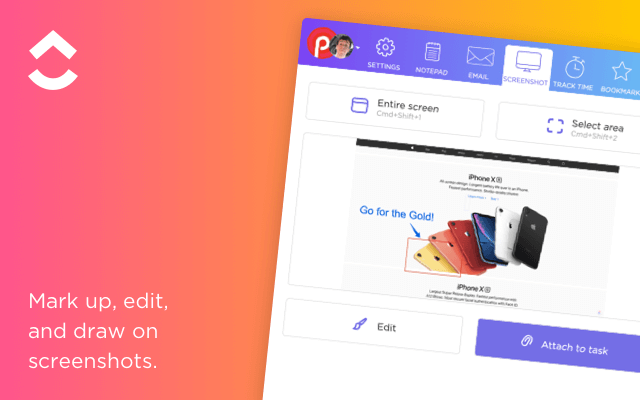 Press K anywhere in ClickUp to instantly switch to different Spaces and Lists. 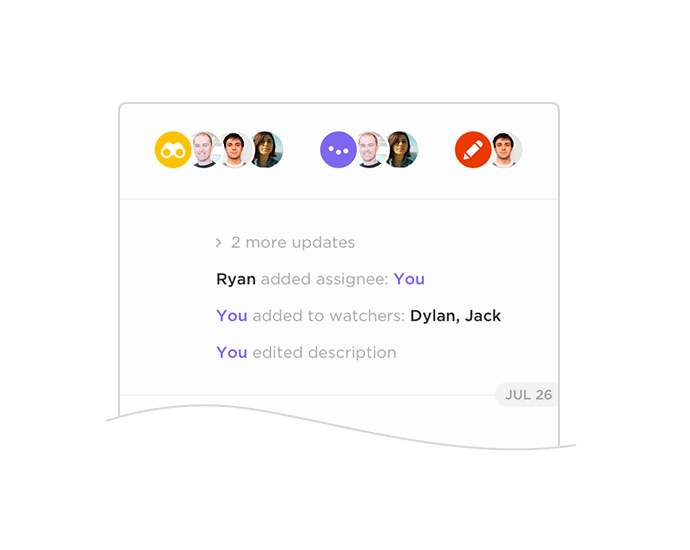 Your own personal note taking machine. This is your own space to jot down anything! 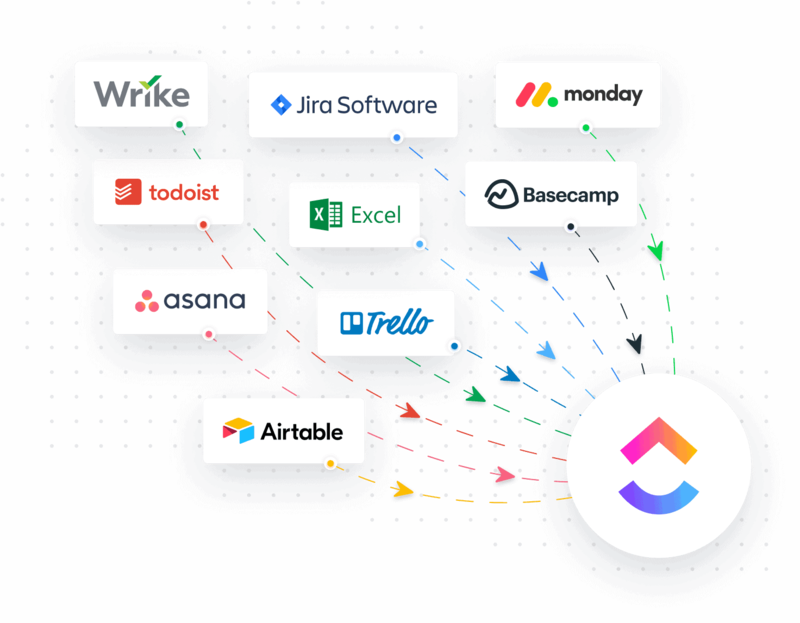 Automatically import from nearly every popular project management app. 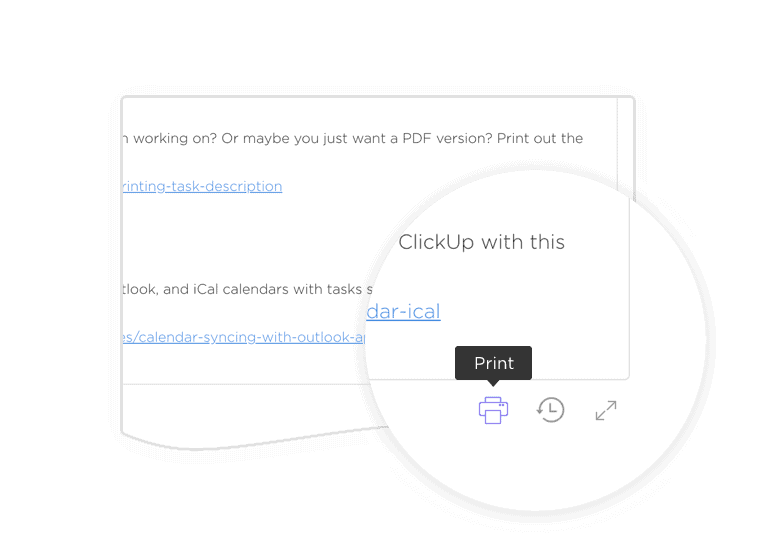 Printing in ClickUp is optimized so you can print anything - tasks, description, reporting, and more. 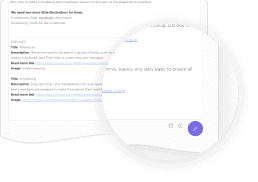 Save websites as tasks using the ClickUp Chrome Extension - use the web clipper to save text. 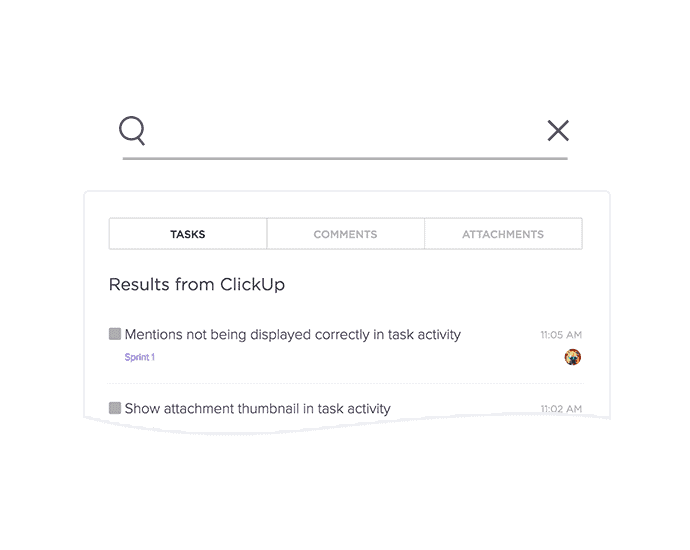 Searching in ClickUp uses AI to put what you’re looking for front and center. 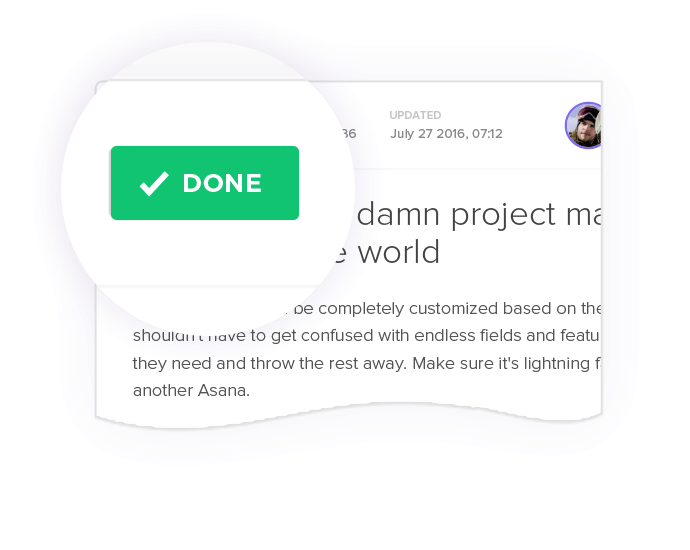 In ClickUp, insert files directly inside of comments, so you don’t have to reference them later. 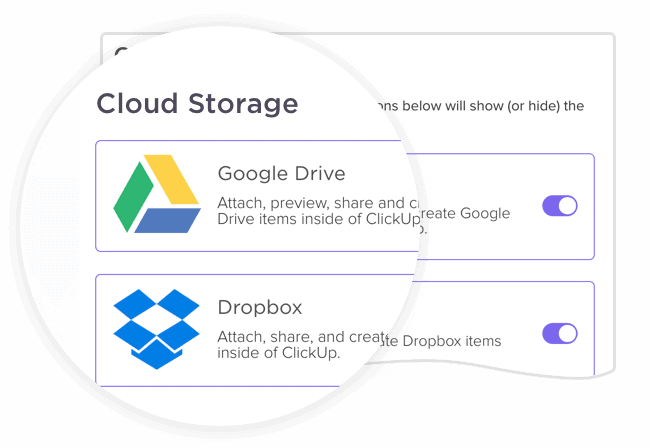 Almost every file type imaginable can be previewed without having to download. 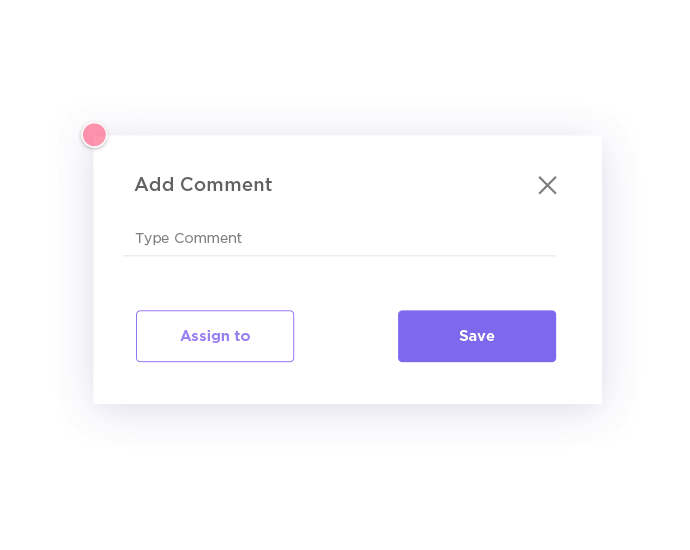 Drop files on the left of a task to attach directly or on the right to insert into a comment. 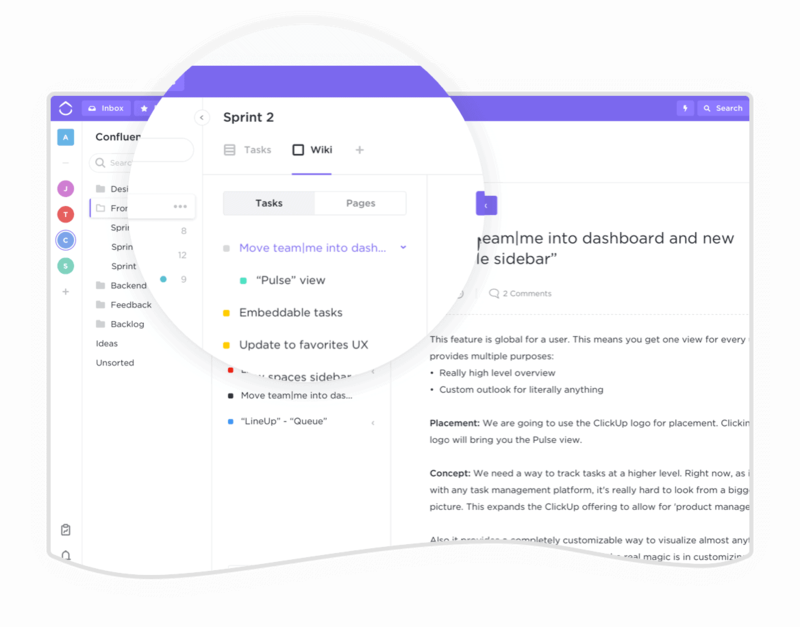 Focus the entire task description in full-screen so you can see rich information in all its glory. 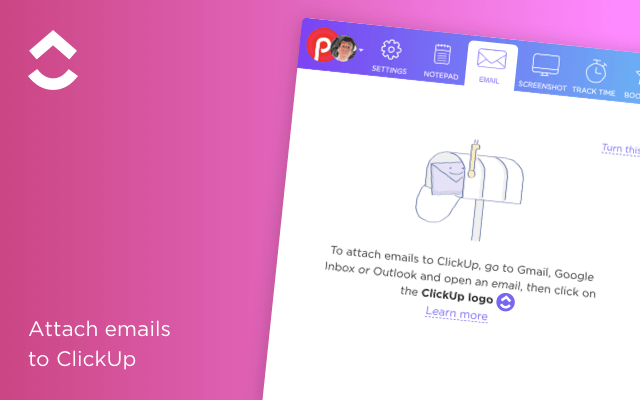 Send emails into ClickUp Lists. 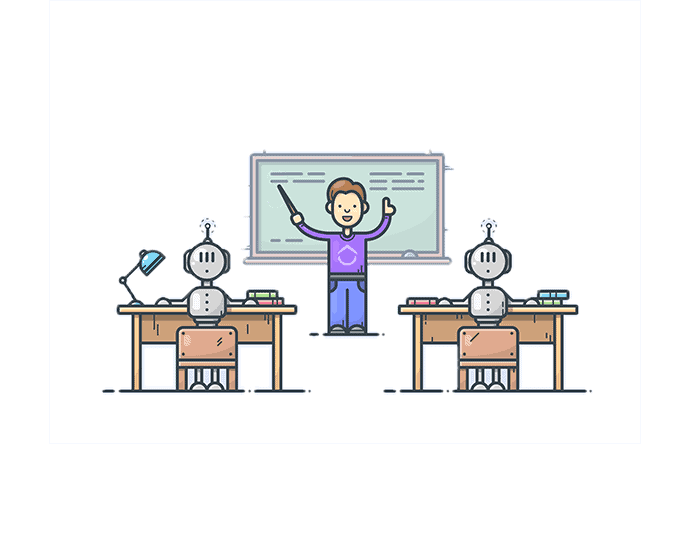 Email addresses are created uniquely for each List in your team. 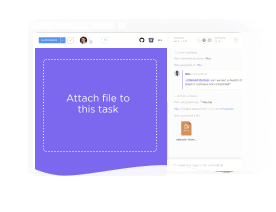 Send emails to your tasks. Email addresses are created uniquely for each of your tasks. 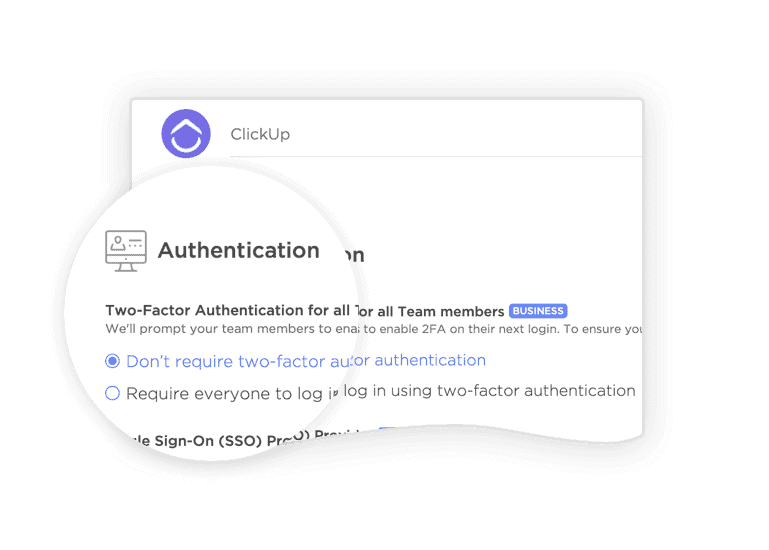 Ensure your team is protected from any unauthorized access with ClickUp's 2FA. 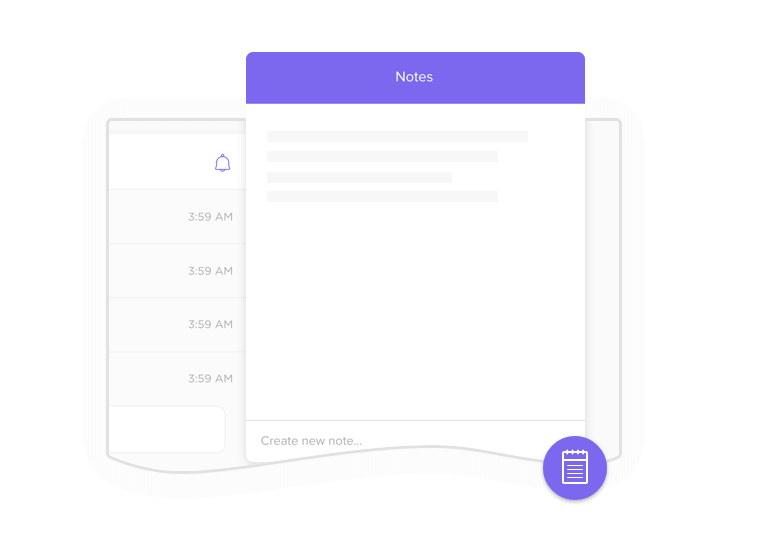 The Notepad by ClickUp Chrome Extension lets you add notes wherever you go! Align your Goals! Group similar goals in neatly organized folders. 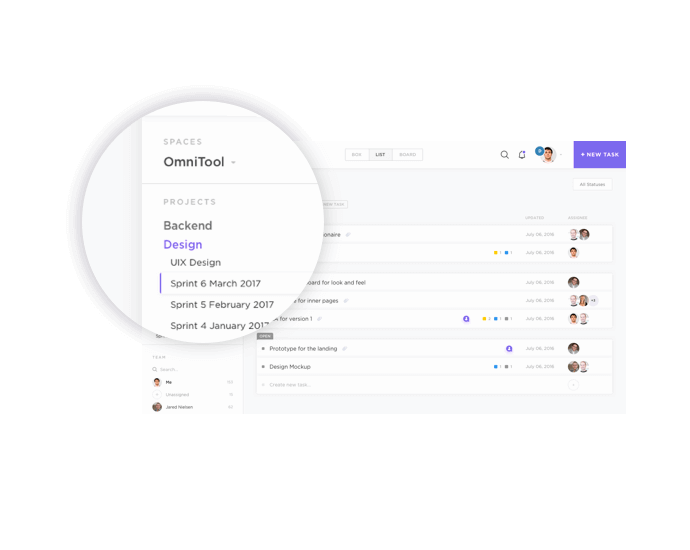 Our team is working 24 hours a day (in 8 time zones) to get features implemented, tested, and released. Here's a few big ones! Determine who's overloaded and when. 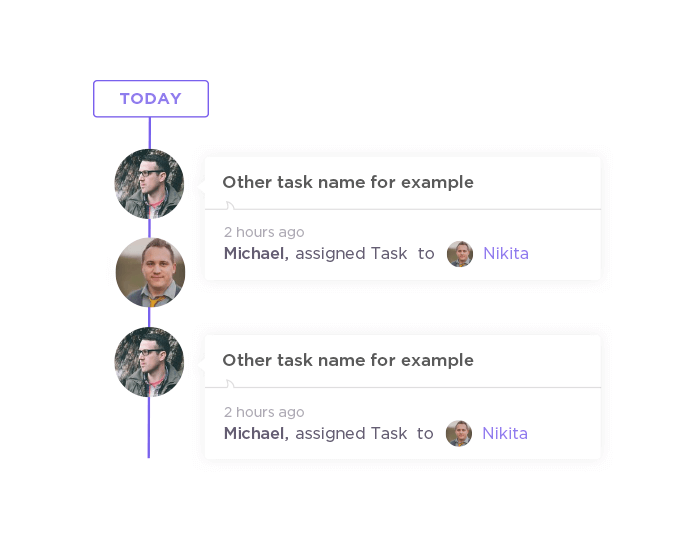 Redistribute tasks based on each member's workload. Remove ClickUp branding with this Enterprise feature. Great when your team needs anonymity. Start and end the day with your personal, simplified work zone. 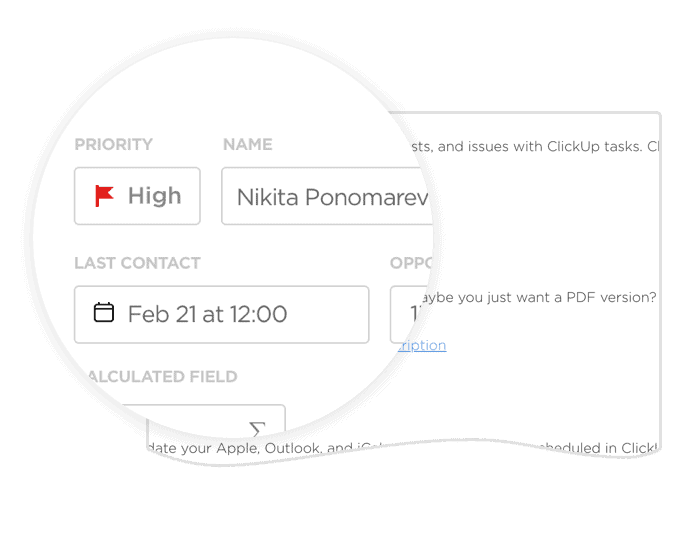 Everything you touch in ClickUp flows in and out of your inbox. 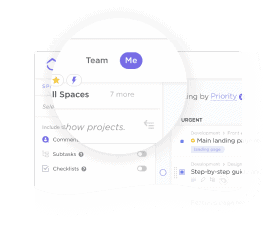 Set reminders on tasks for yourself or others on your team for complete peace of mind. 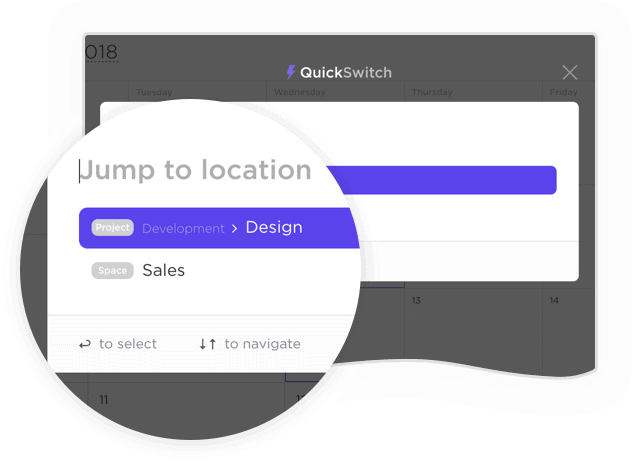 Map out a new product, feature, or even a vacation! 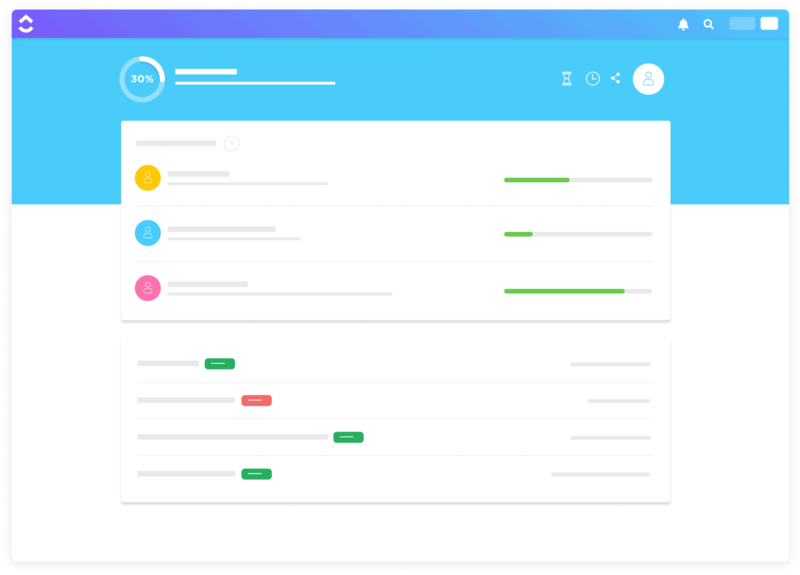 This flexible tool lets you visualize the steps to get sh*t done. 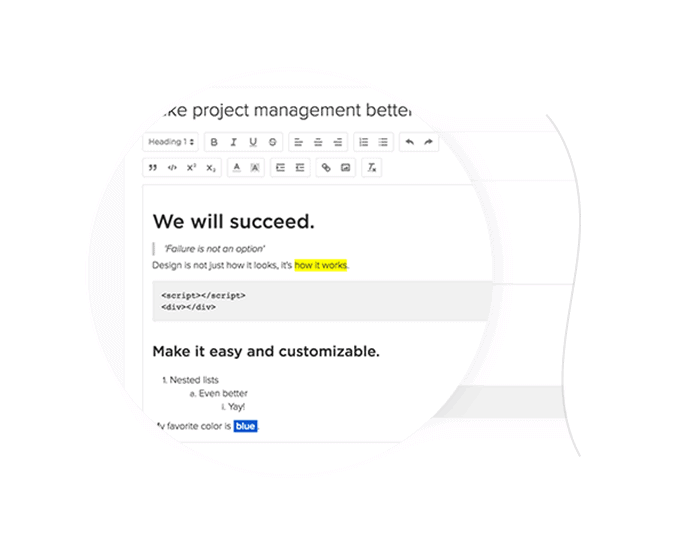 Create, collaborate, and keep all your work in one place by creating wikis and docs for whatever you're working on. Help us translate into your language! Whether it's one word or the entire platform, every bit helps! 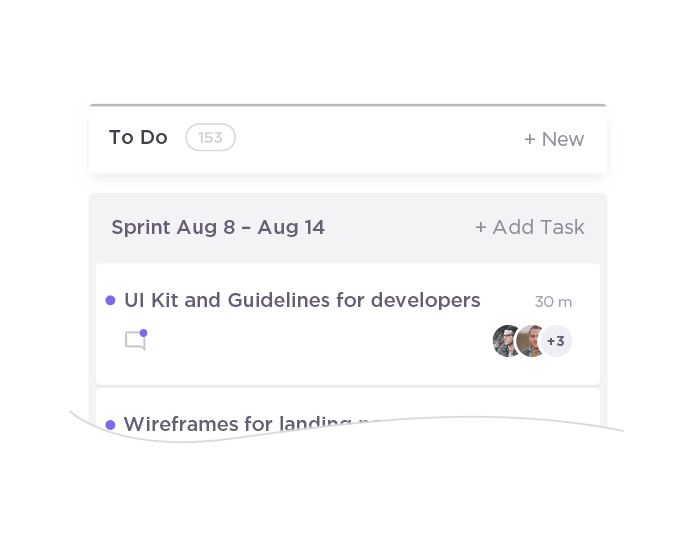 See how tasks and deadlines connect for each team member. 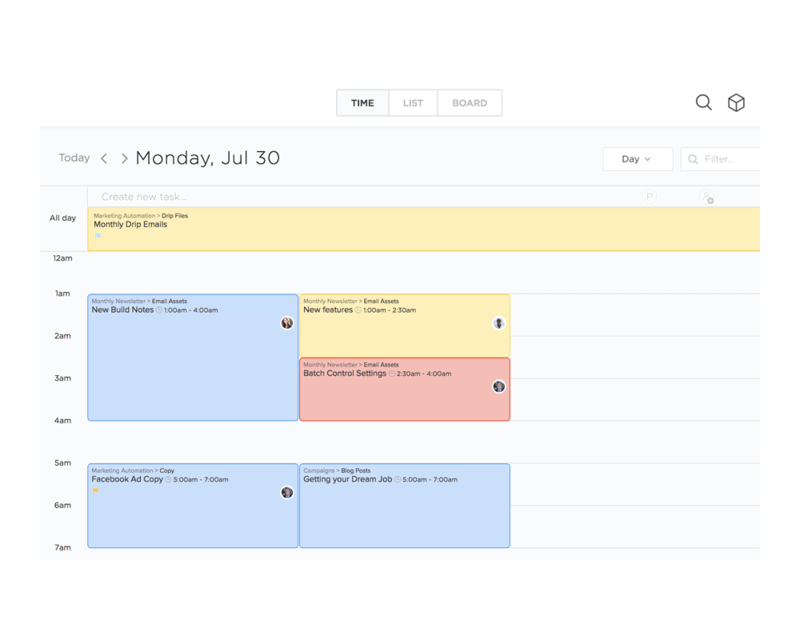 Identify conflicts and optimize scheduling. 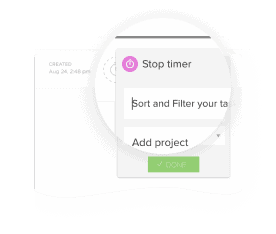 Enhance your projects with automated triggers and actions. 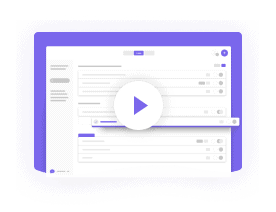 Host unique discussions for any group of things in ClickUp.